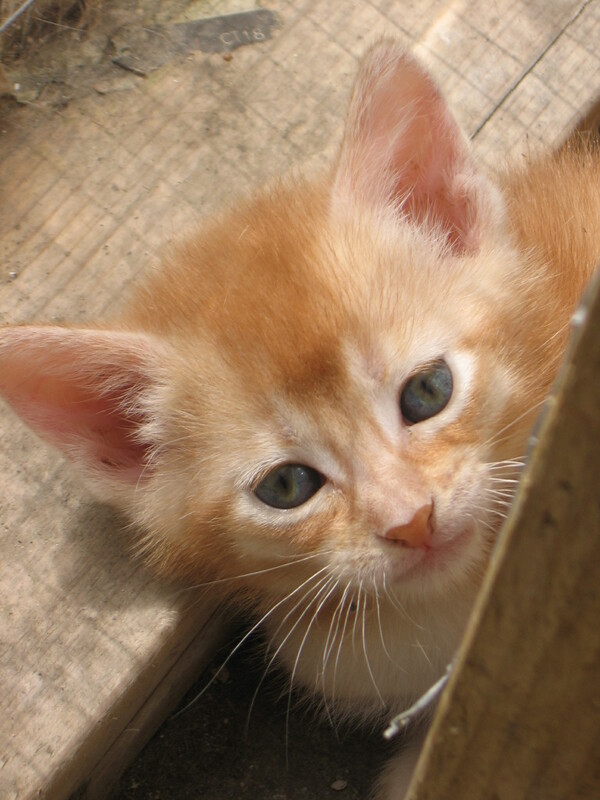 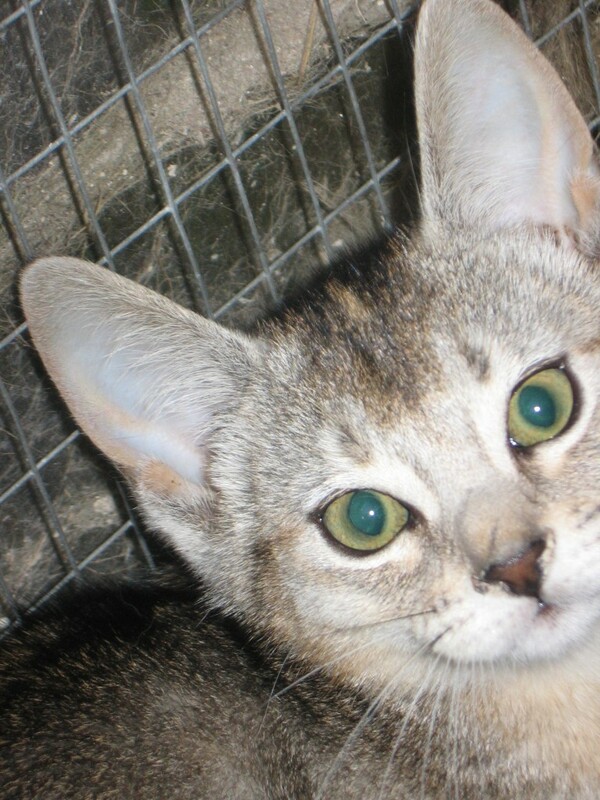 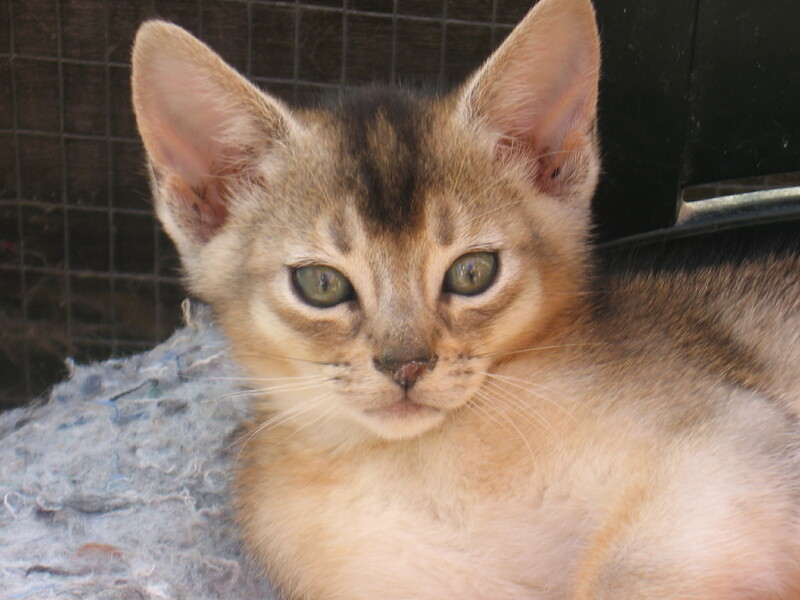 All my kittens are bred in Kent near the Channel Tunnel (50 mins on fast train from St Pancras) and all kittens will need to be viewed and picked up from there – final London delivery when the kitten/s are 13 weeks might be considered as an additional cost or through a pet carrier (depending on the circumstances.) 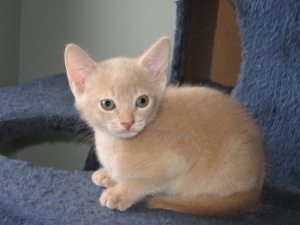 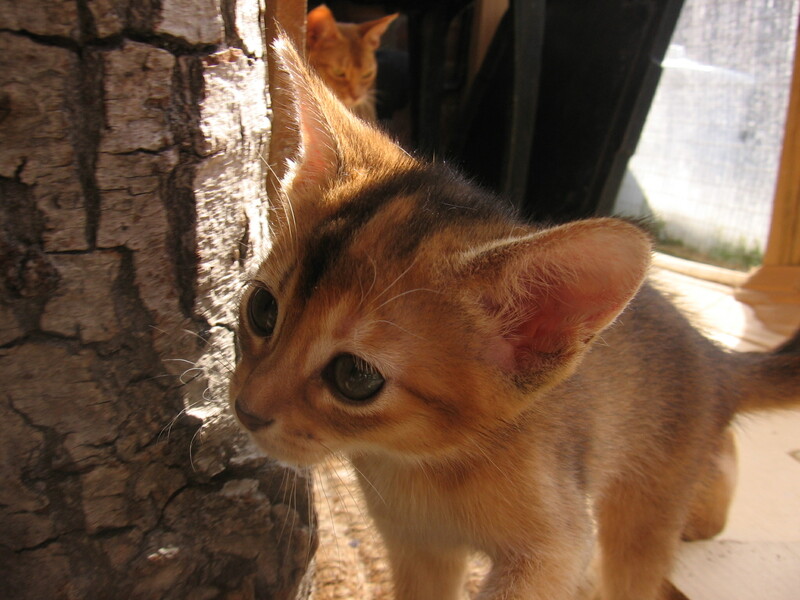 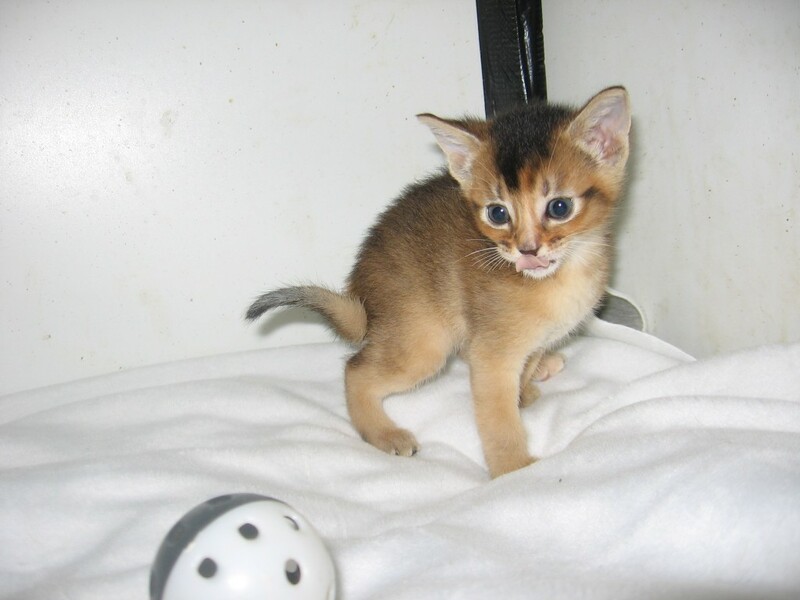 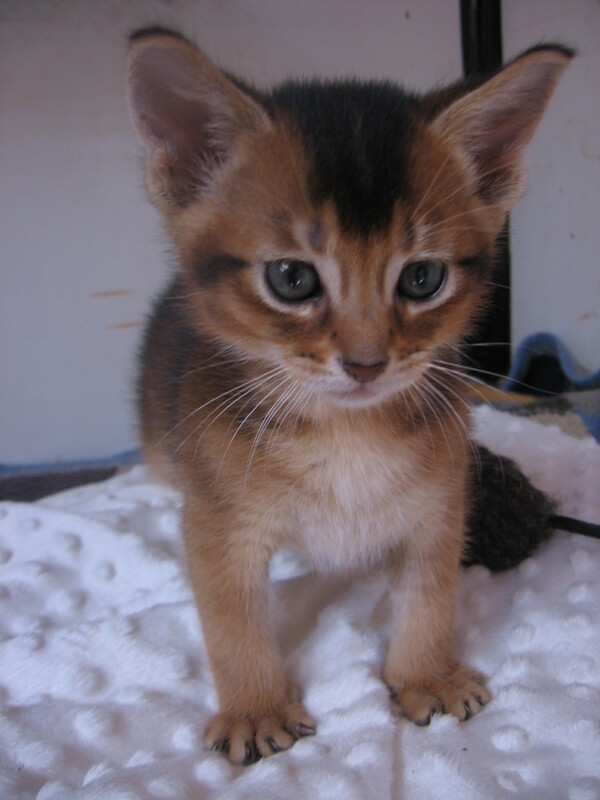 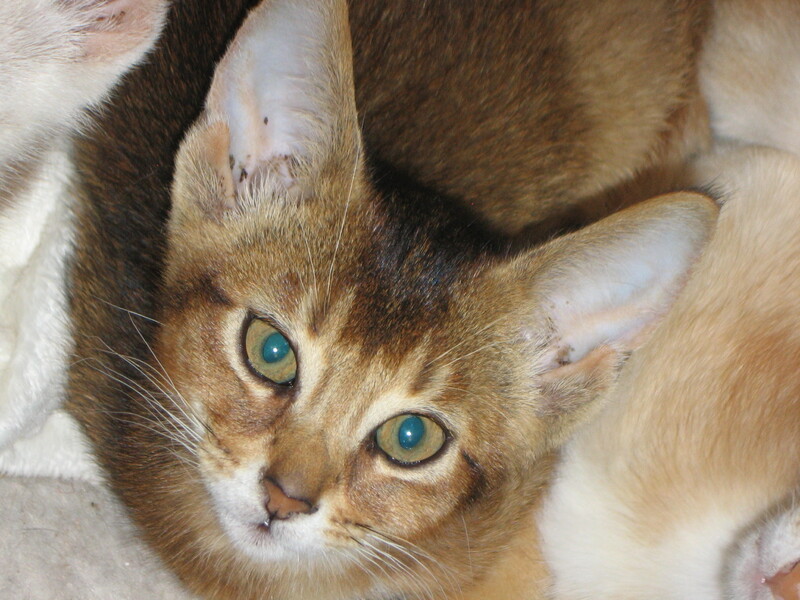 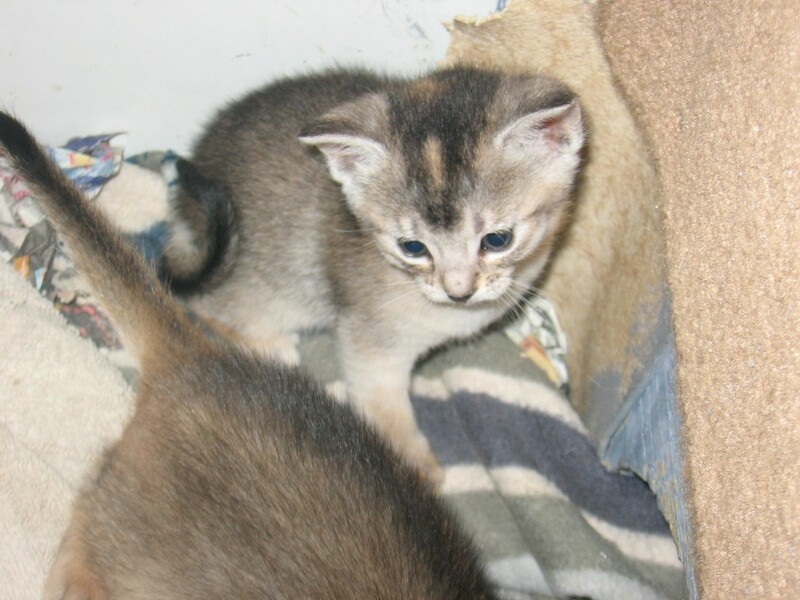 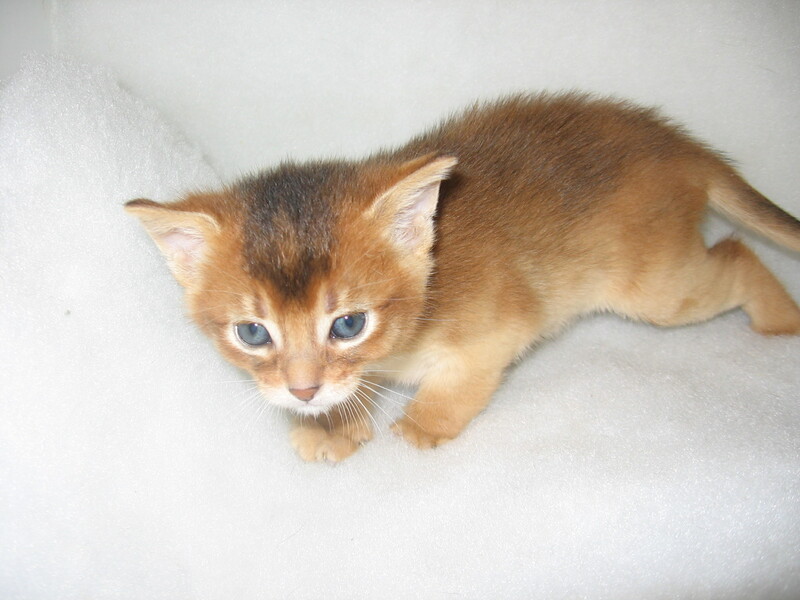 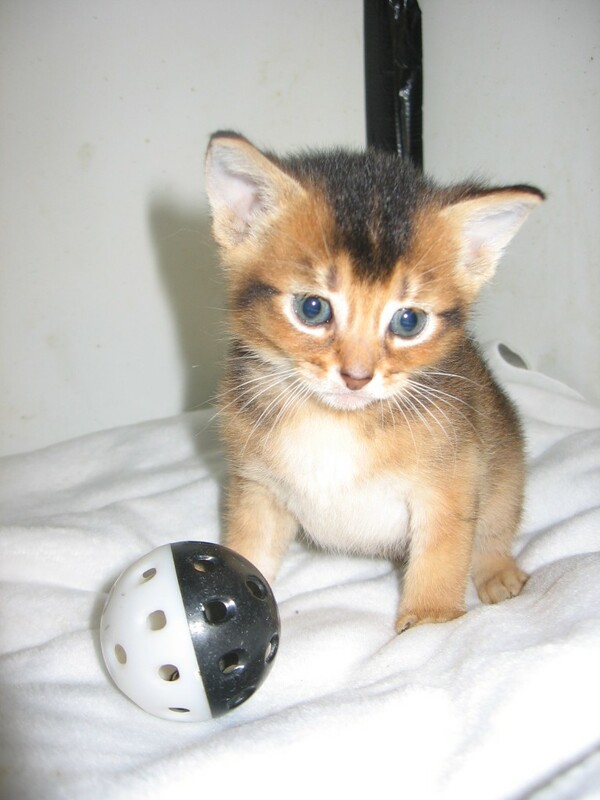 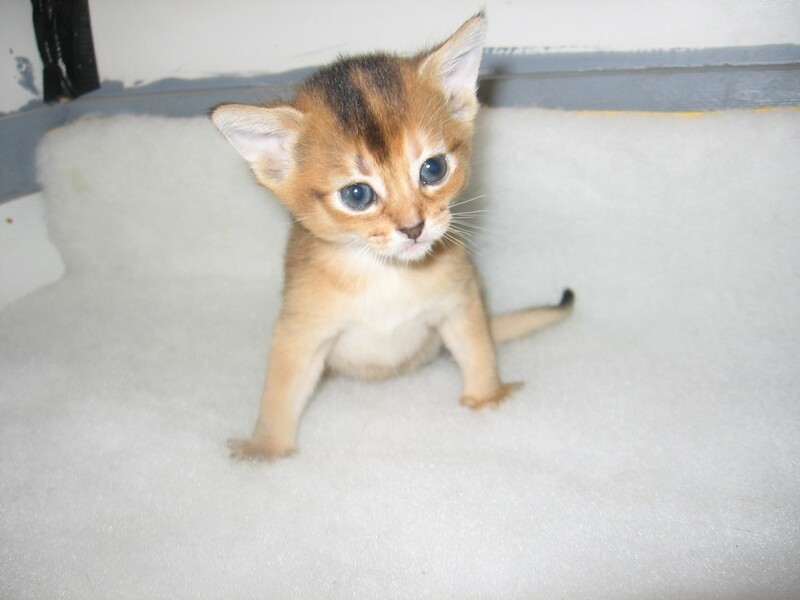 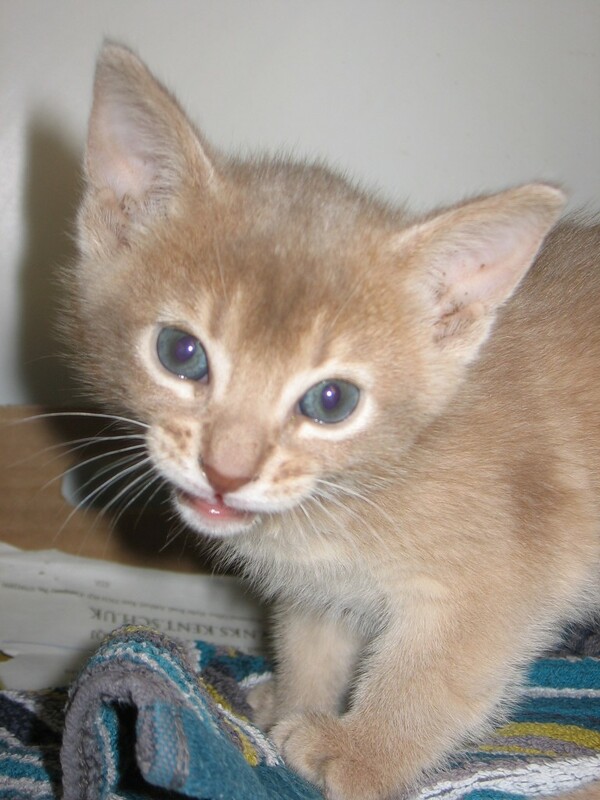 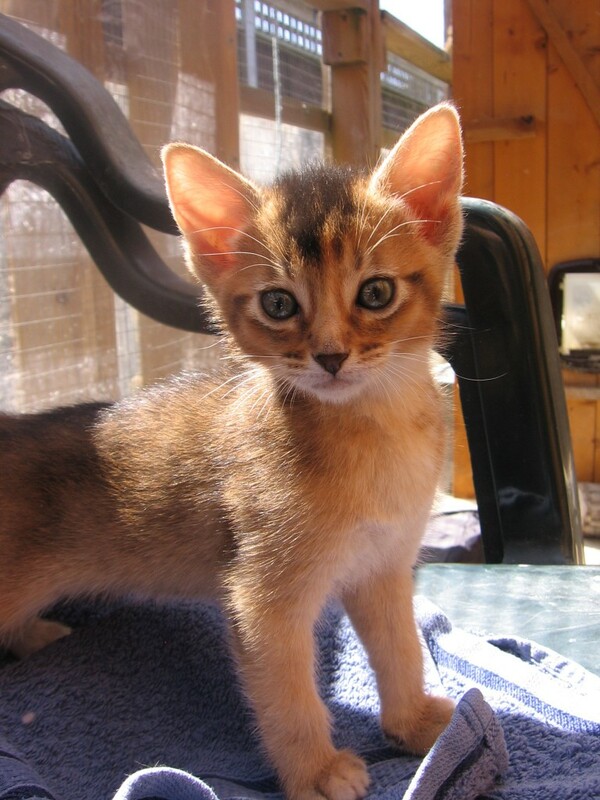 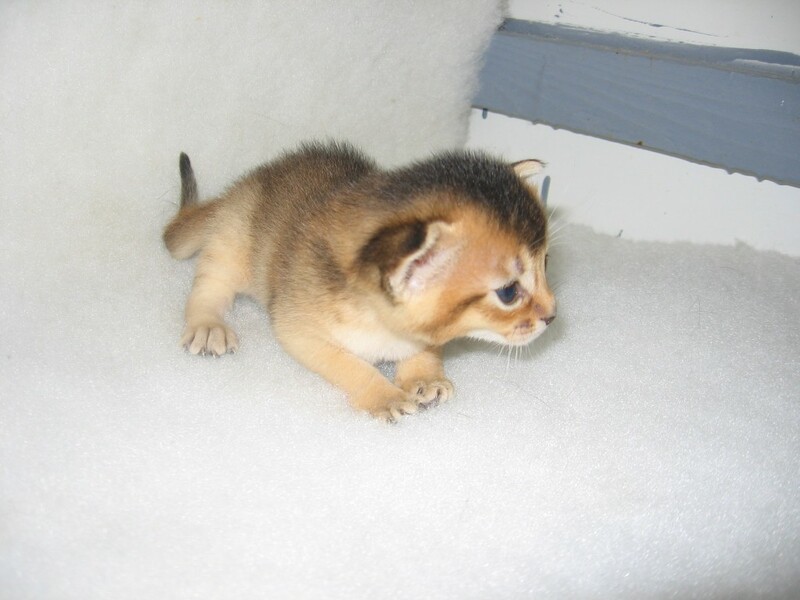 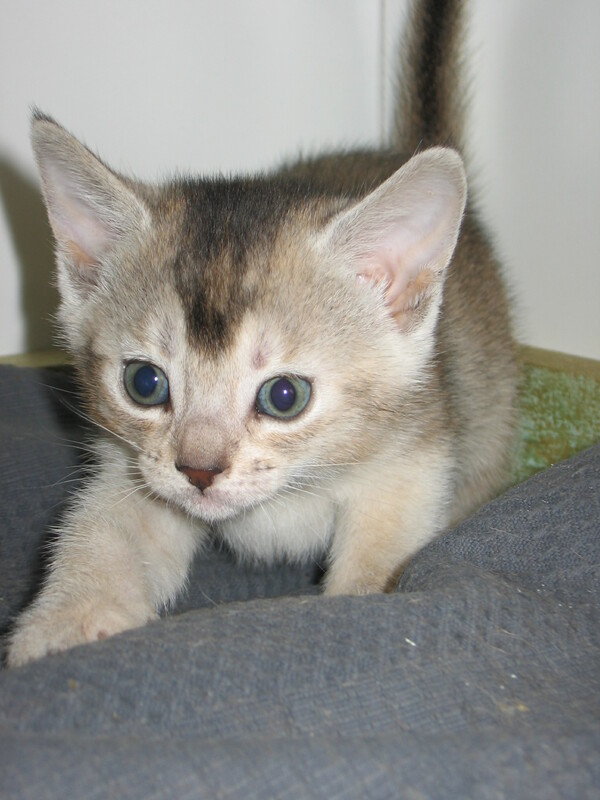 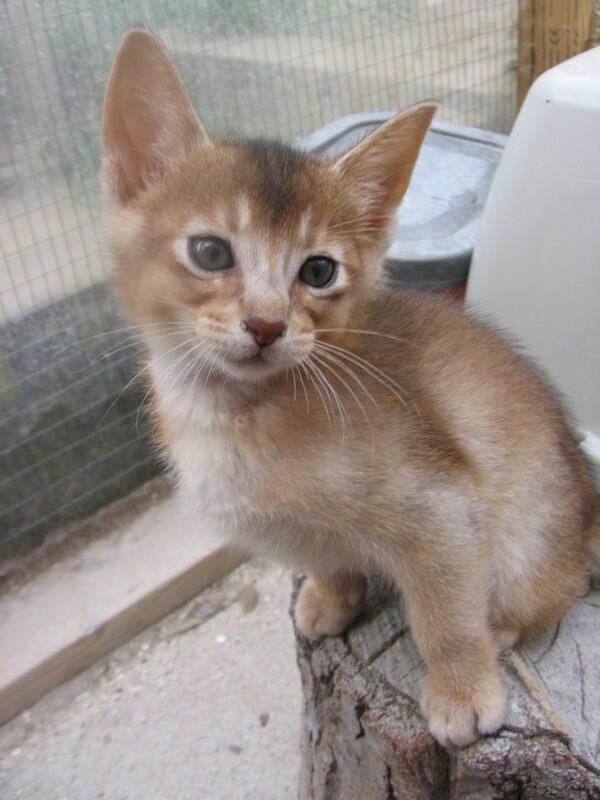 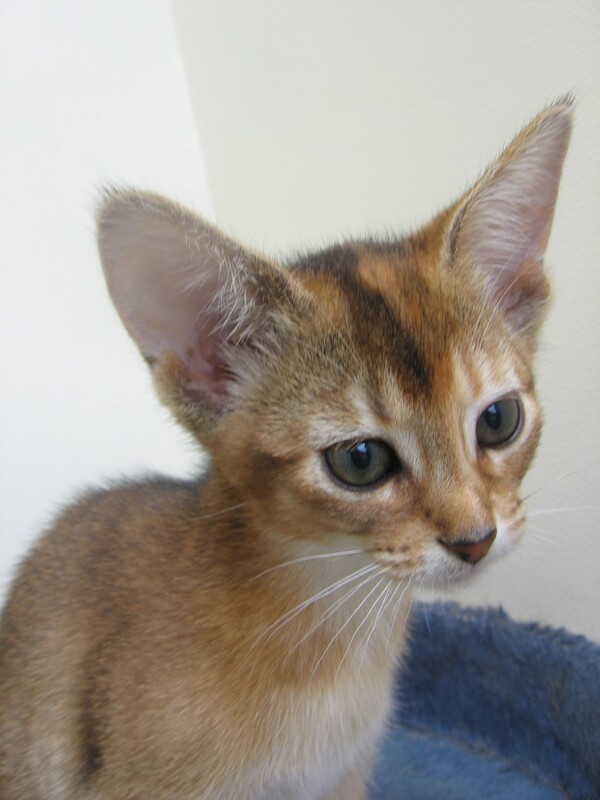 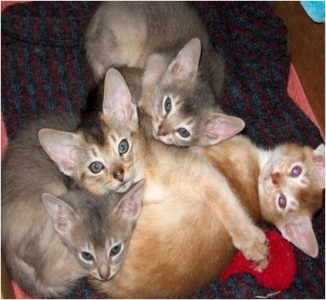 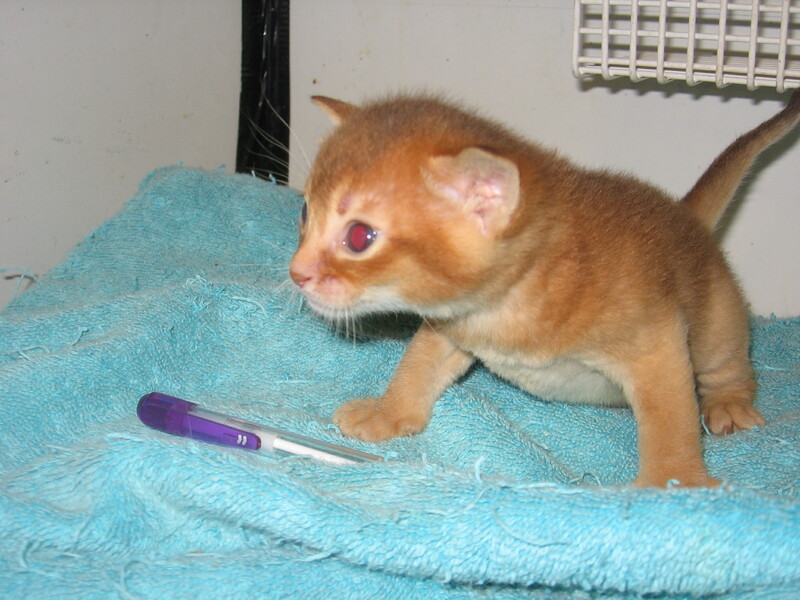 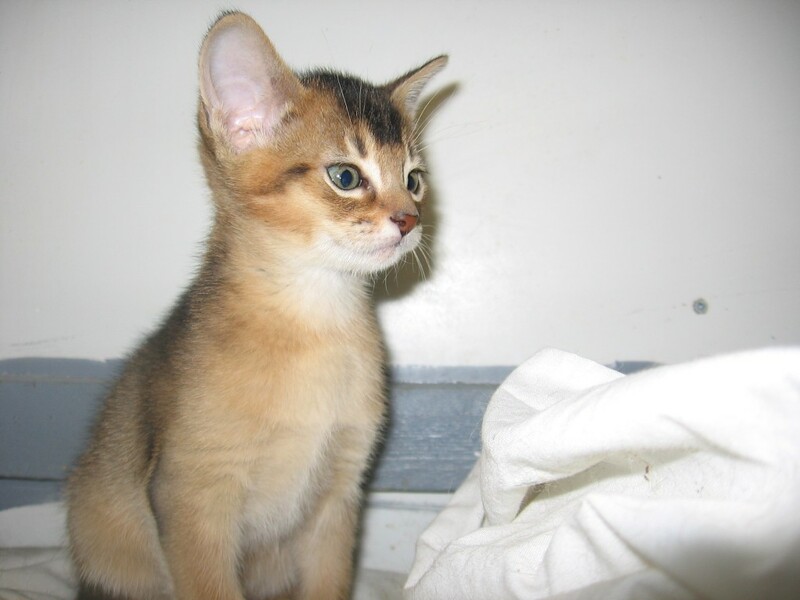 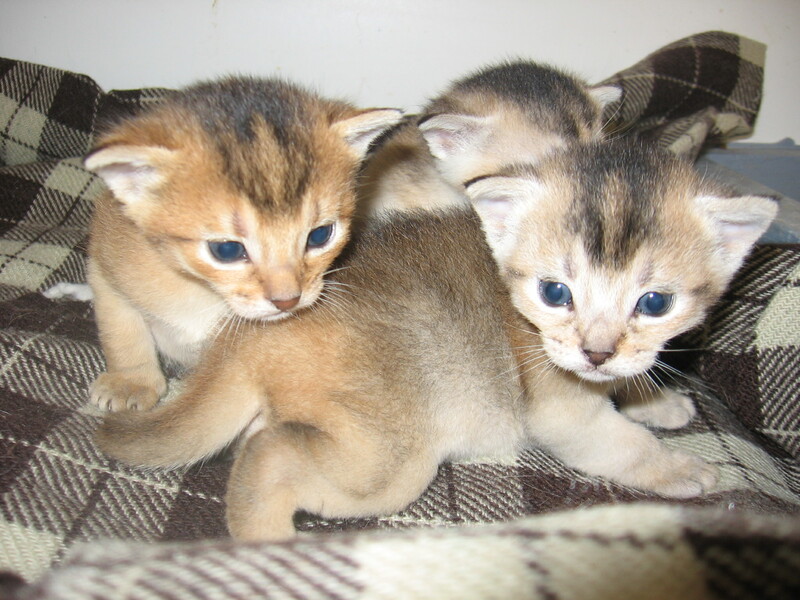 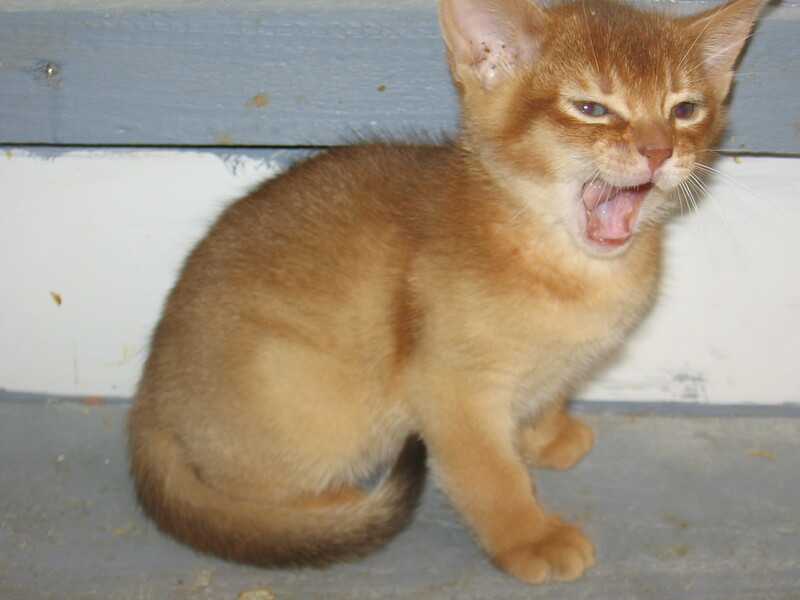 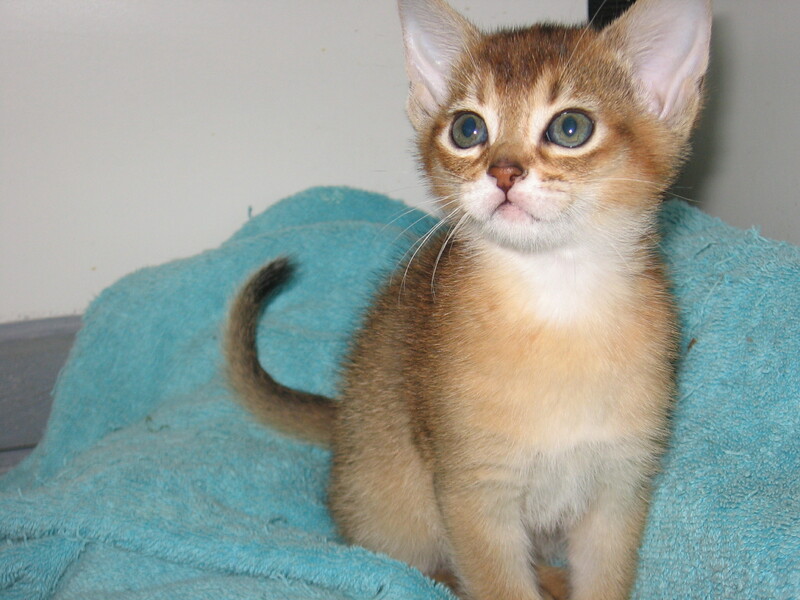 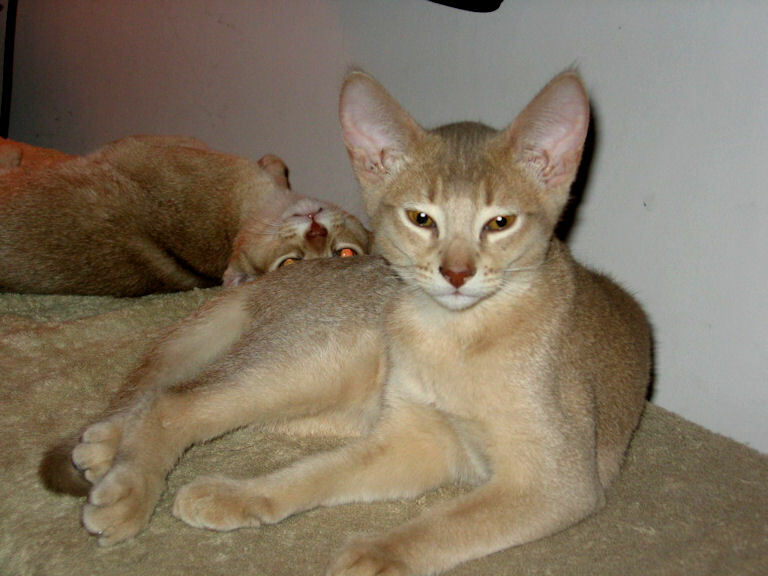 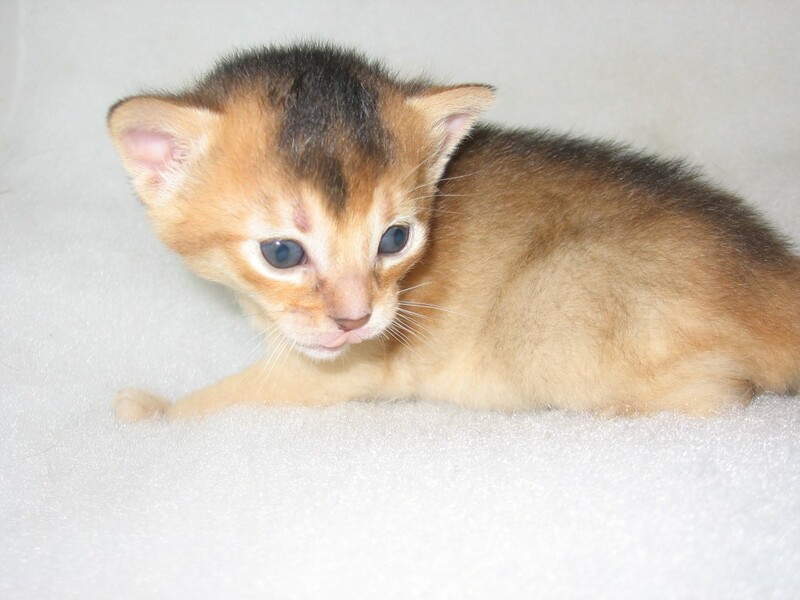 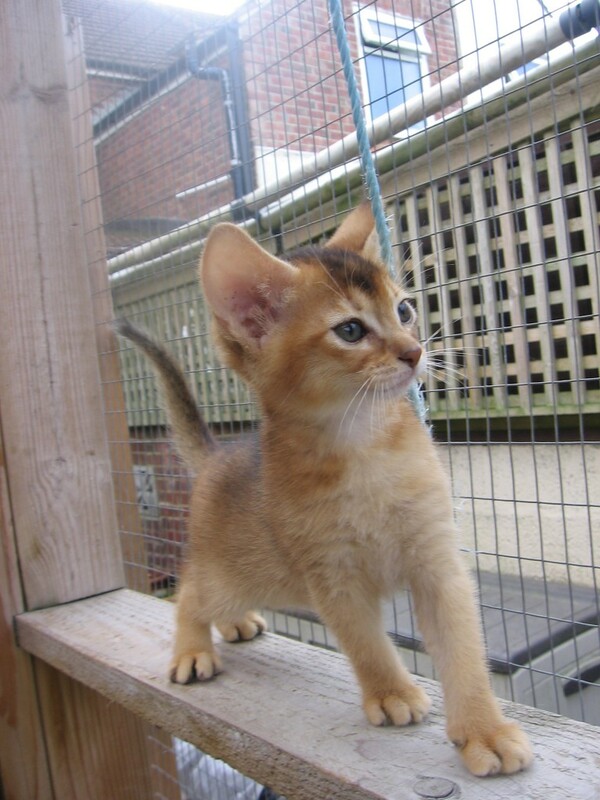 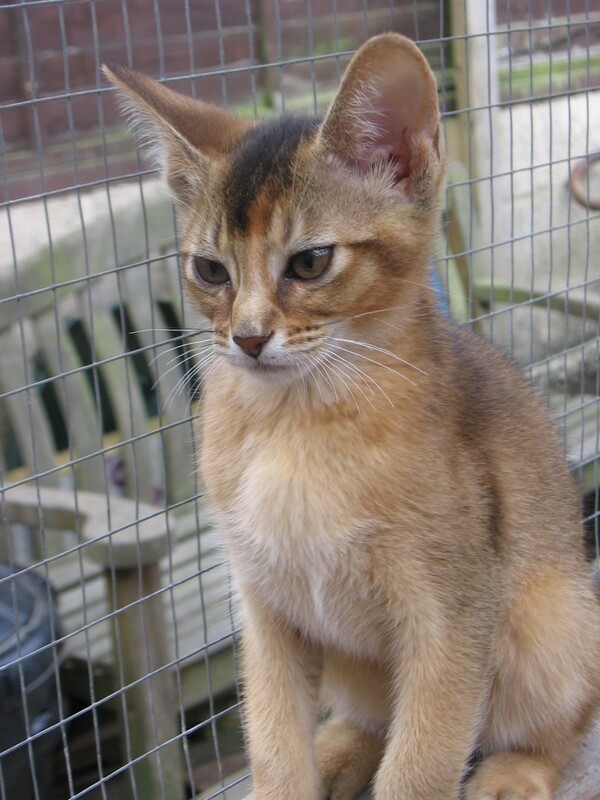 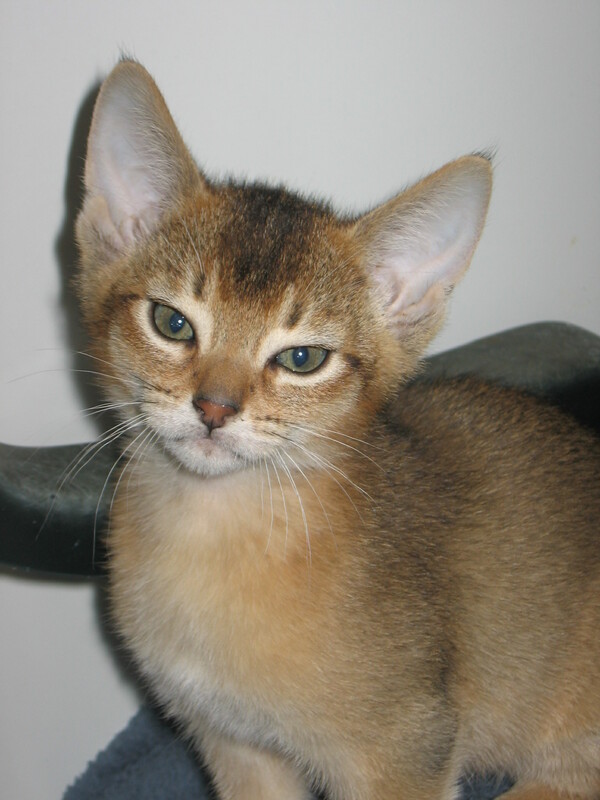 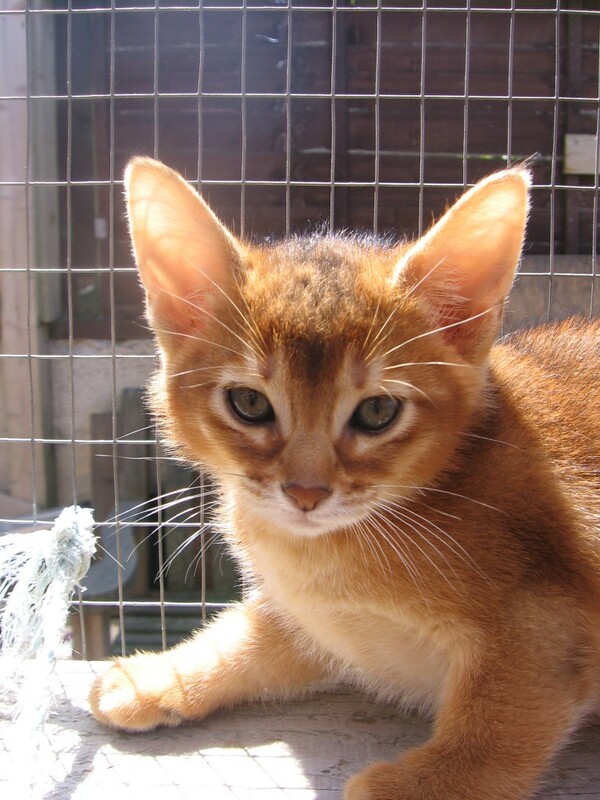 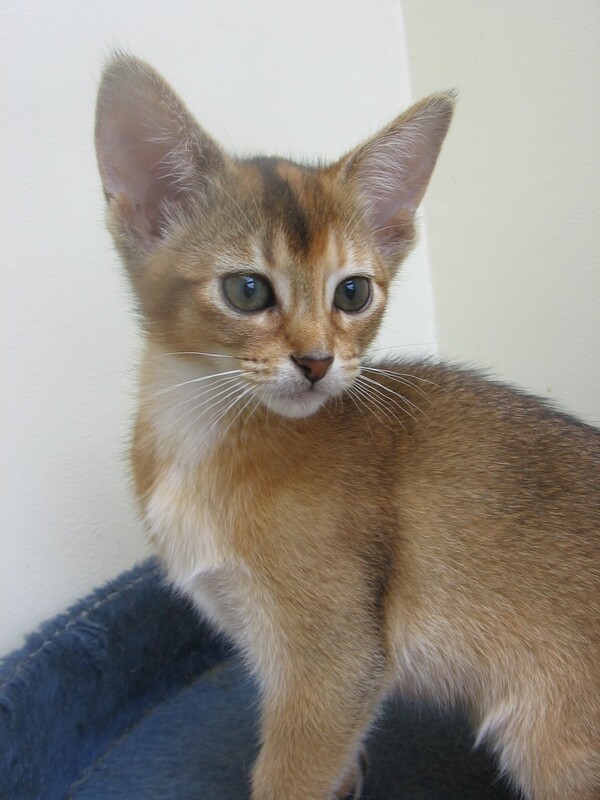 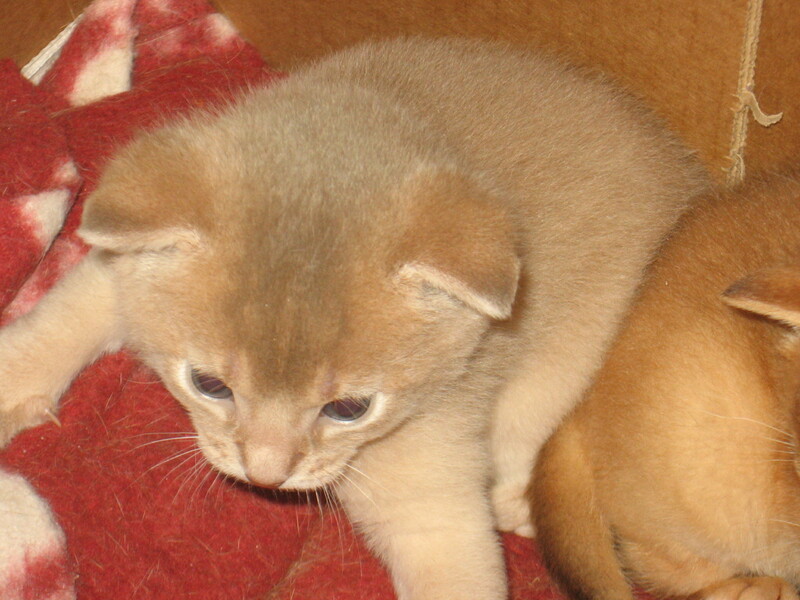 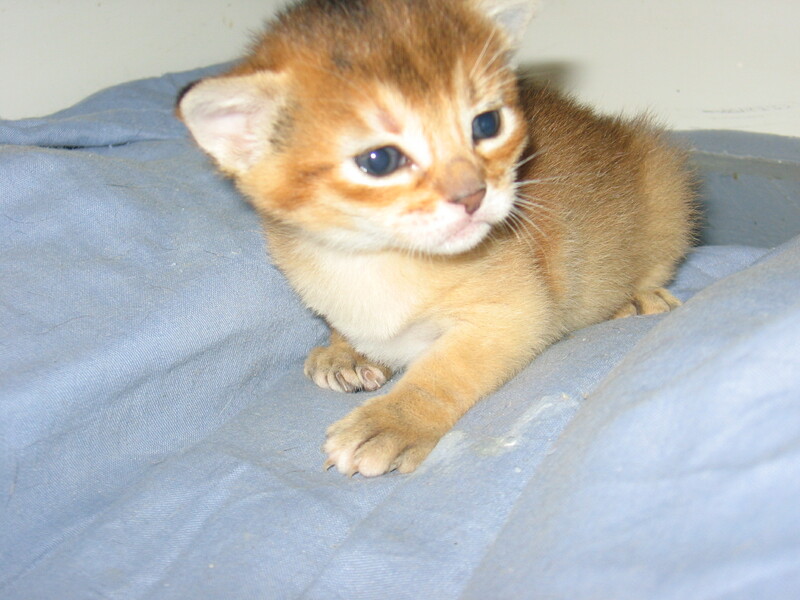 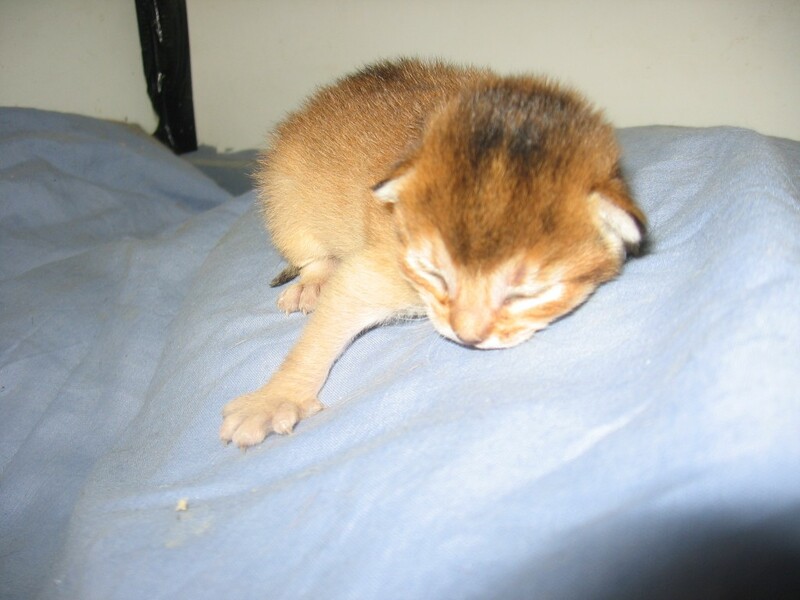 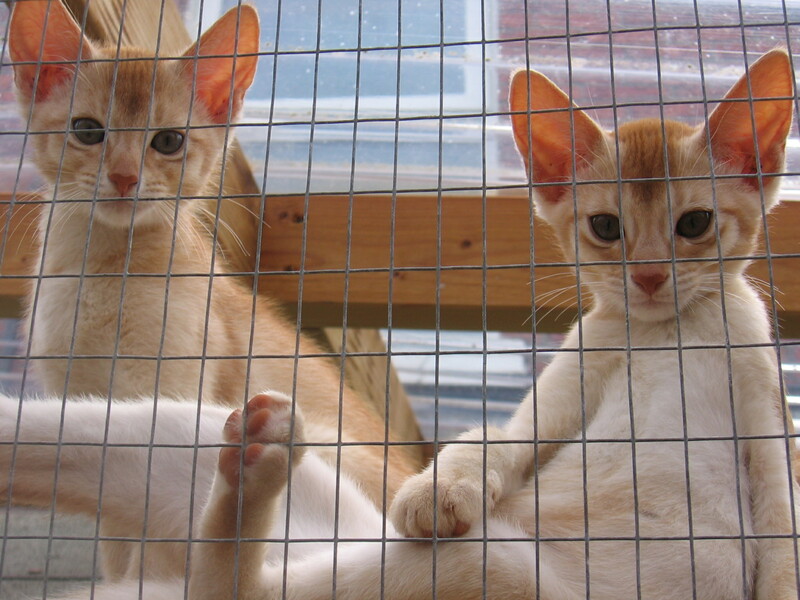 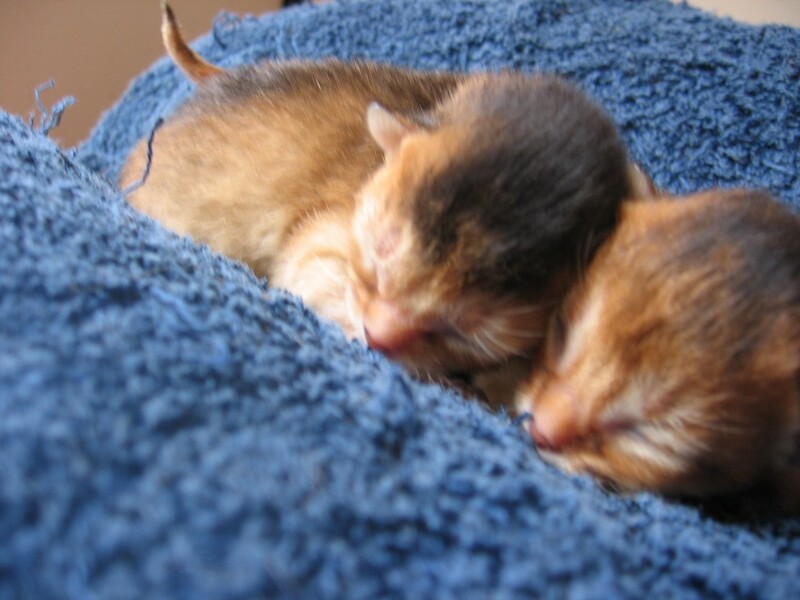 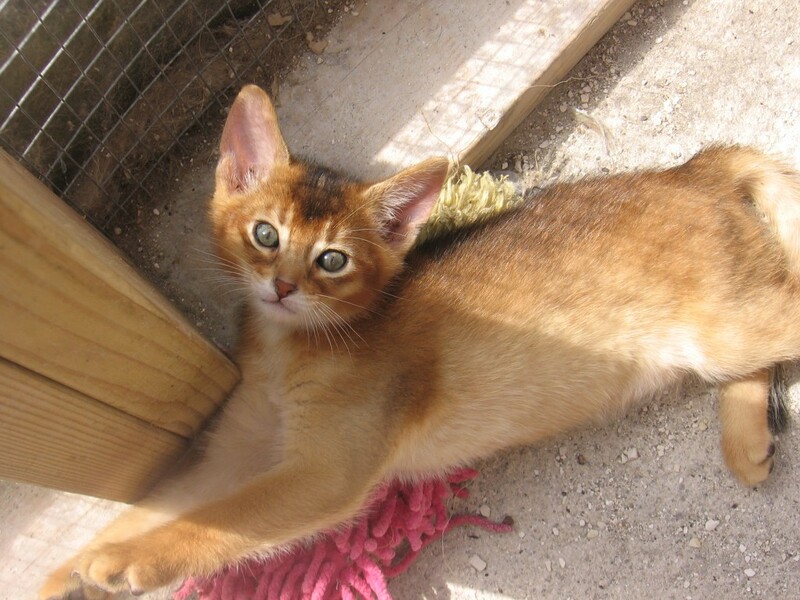 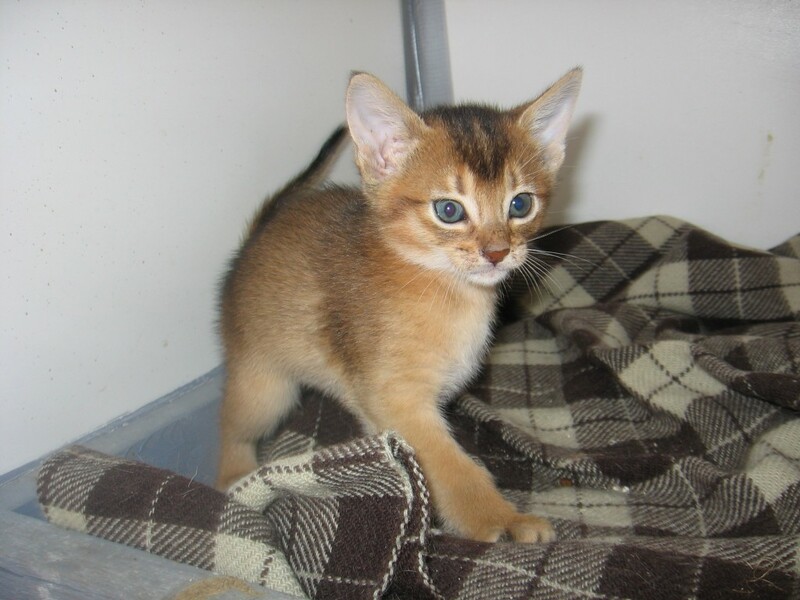 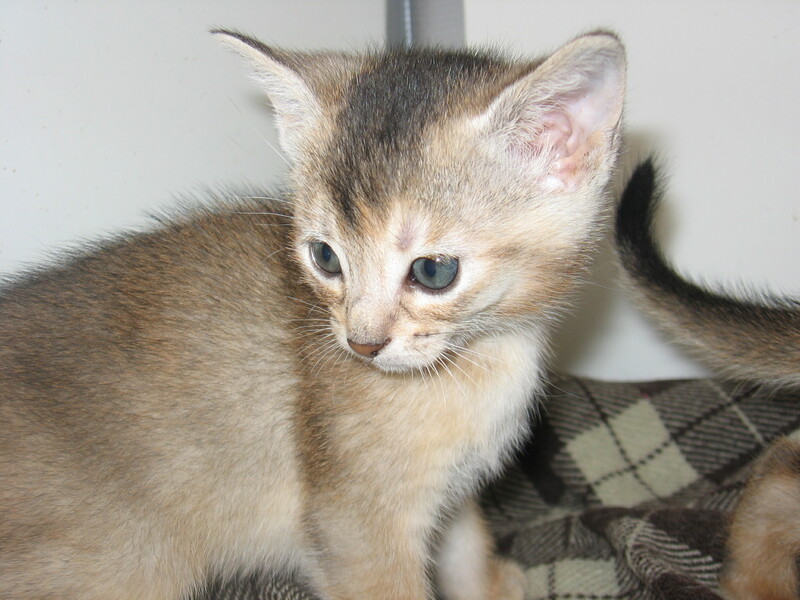 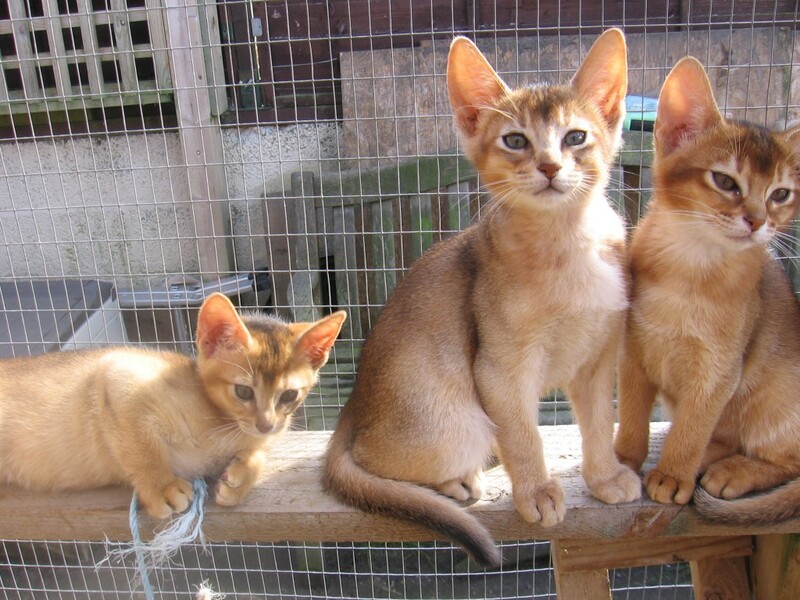 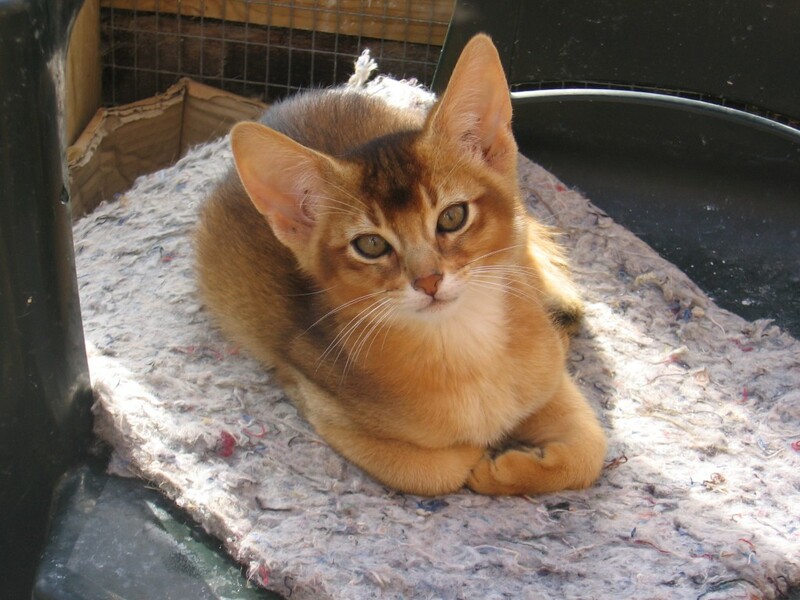 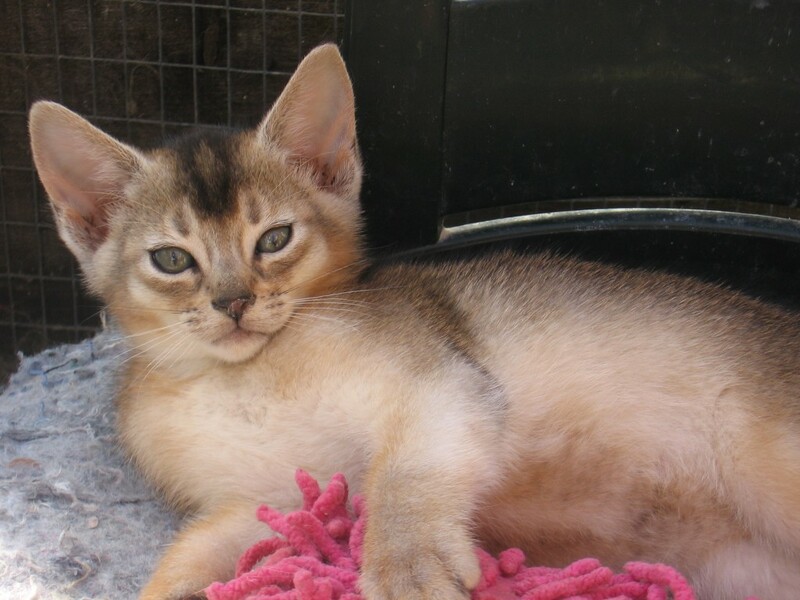 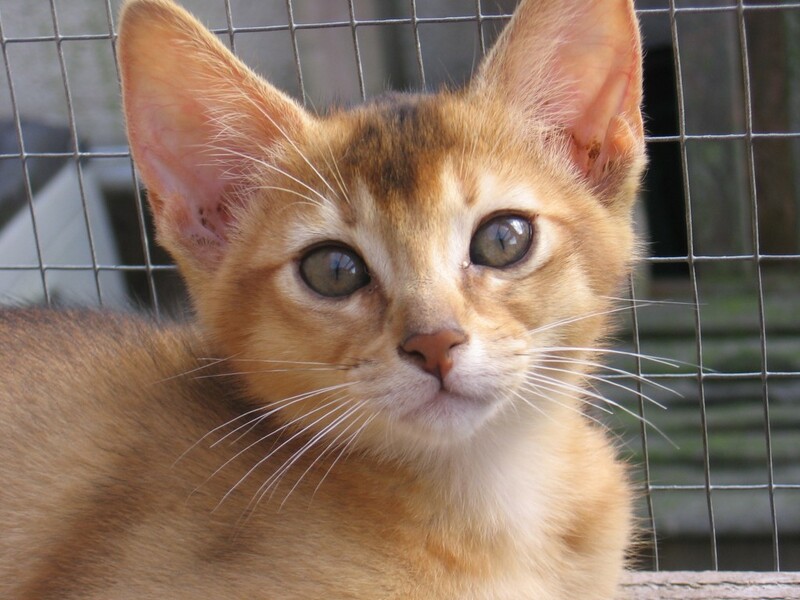 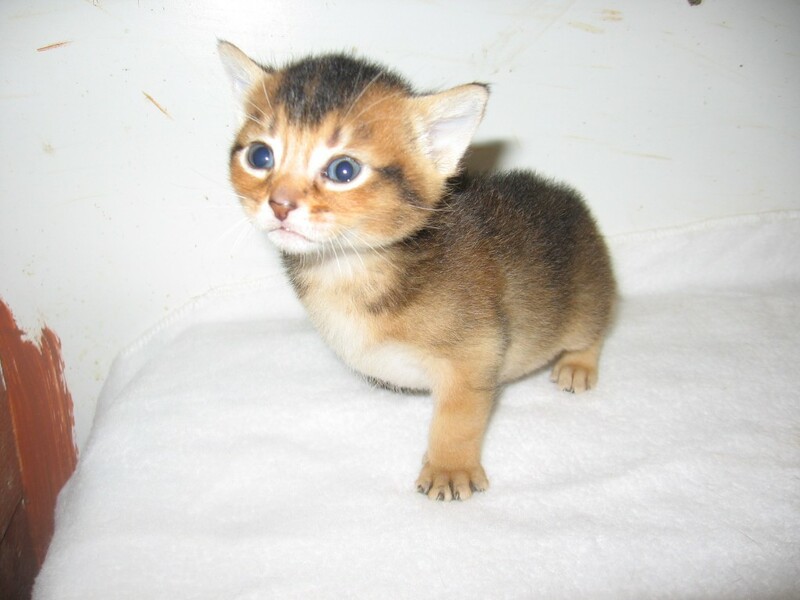 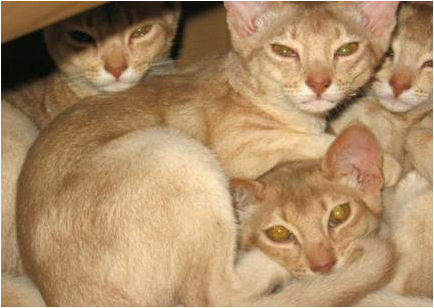 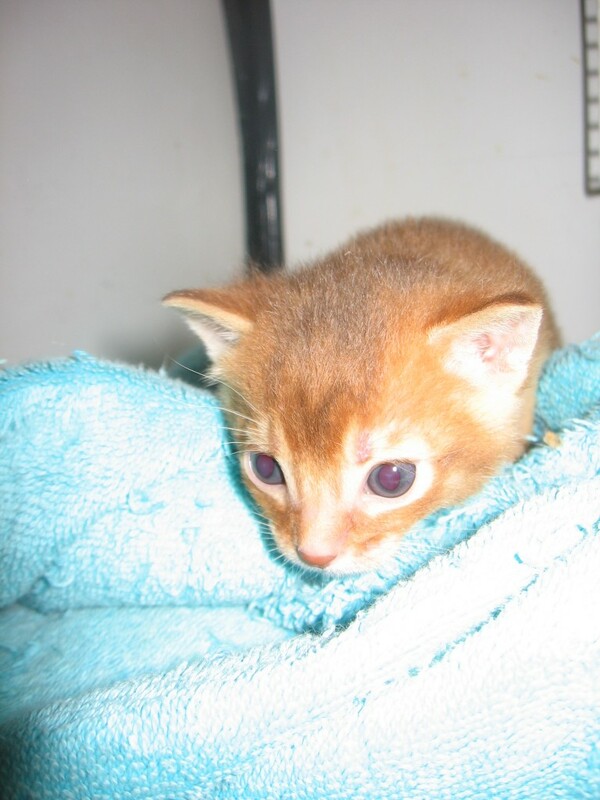 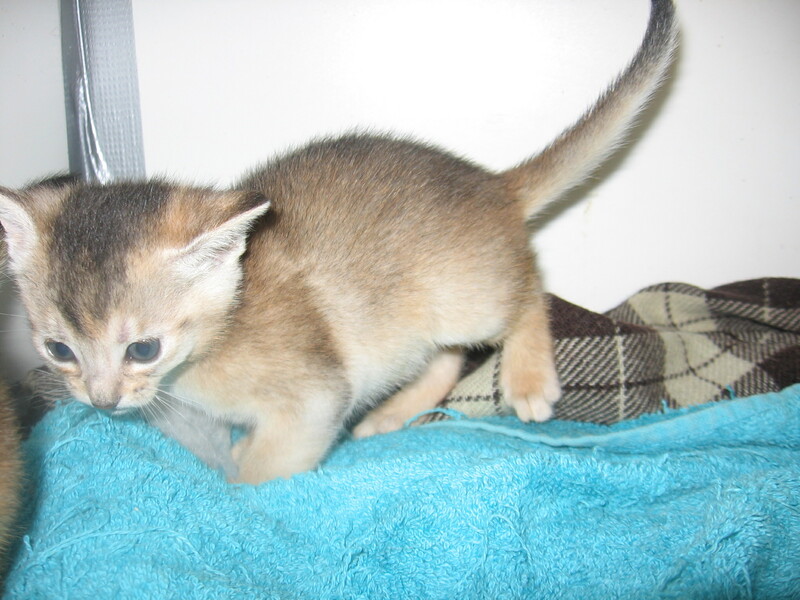 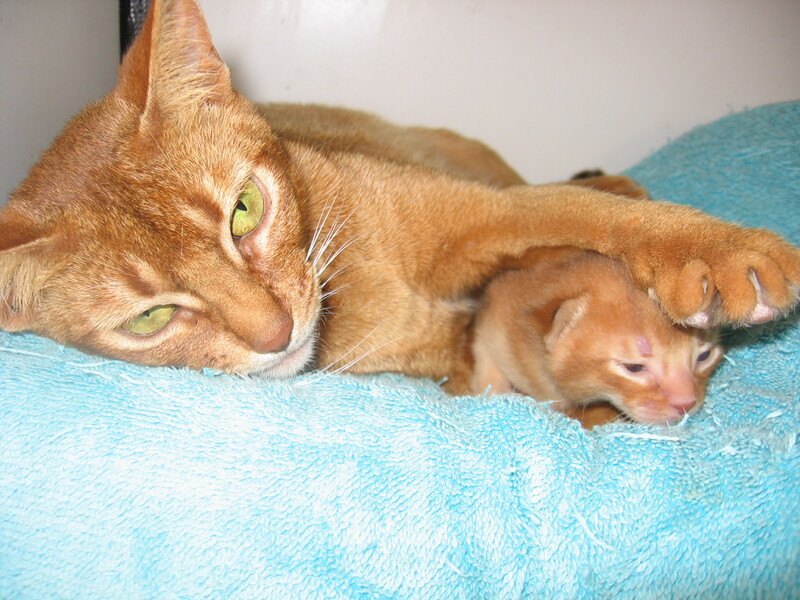 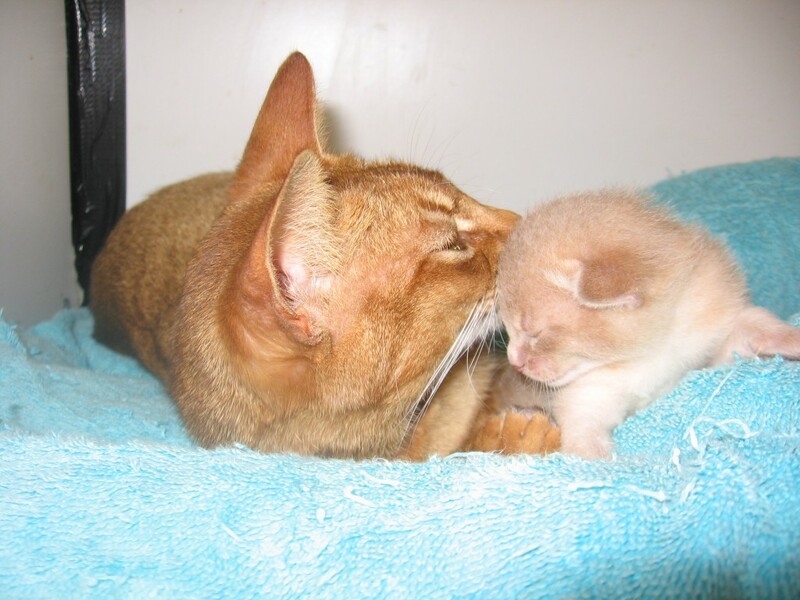 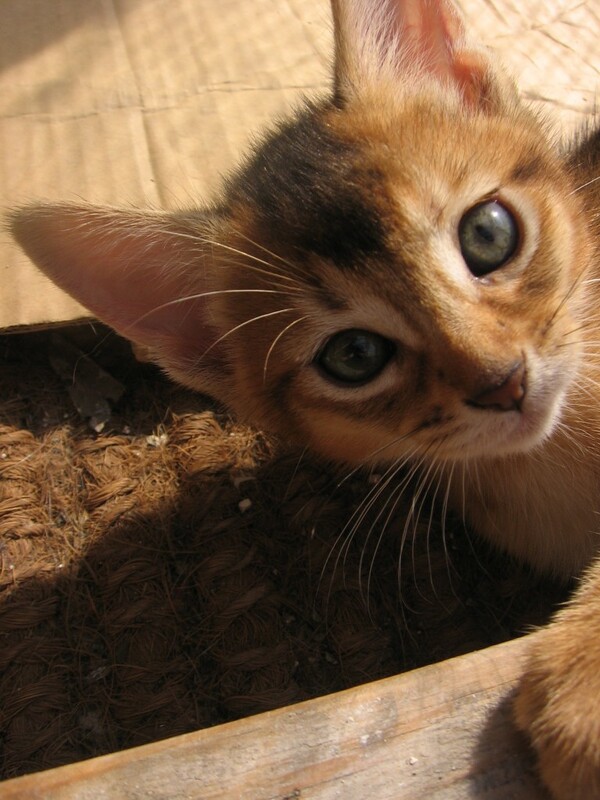 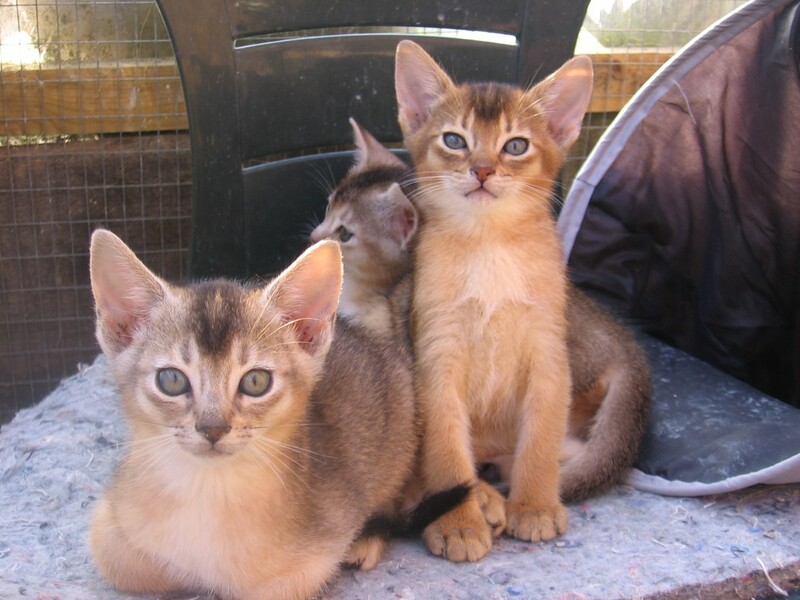 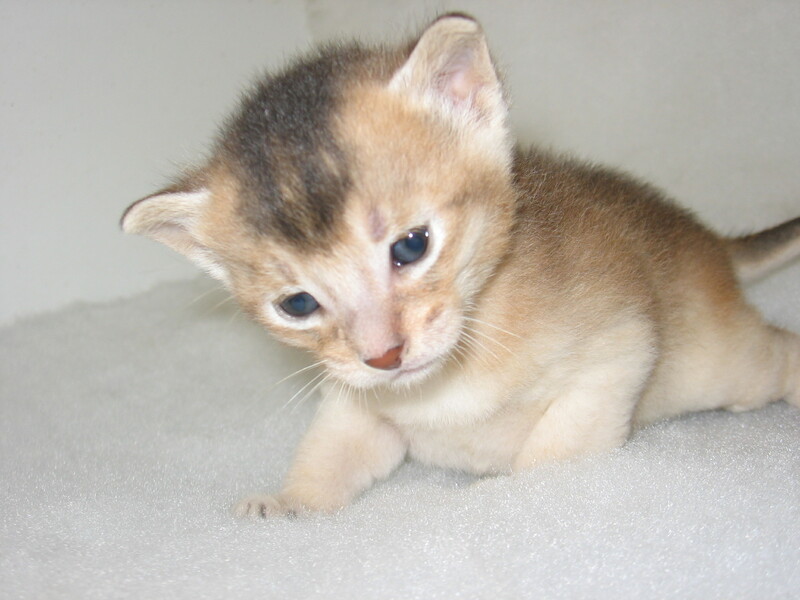 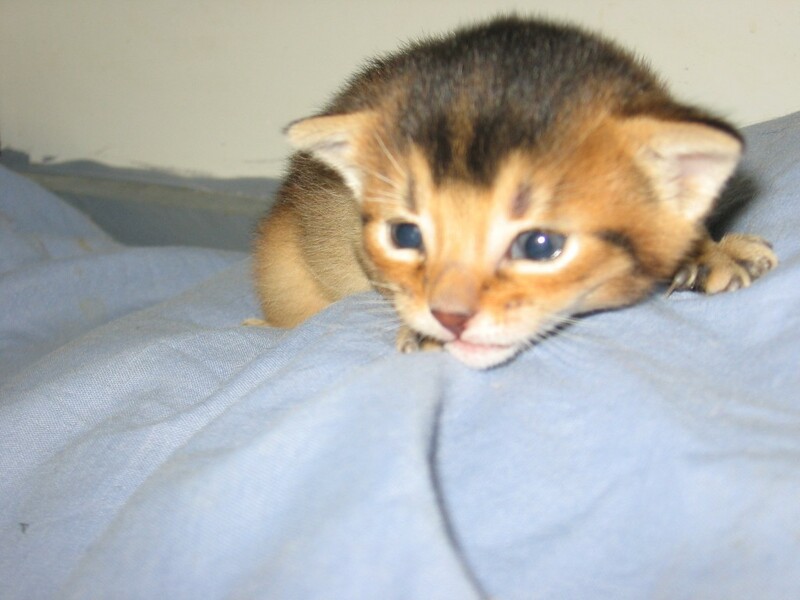 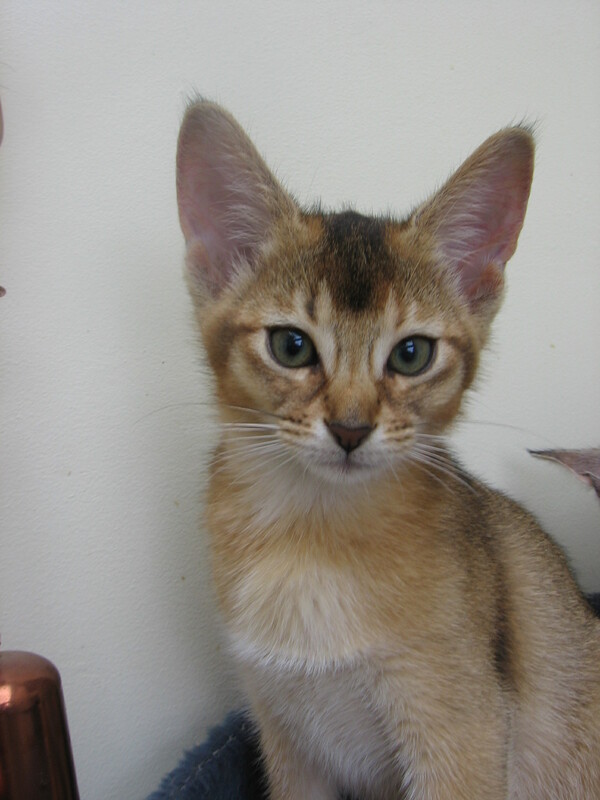 As a responsible breeder, I am very fussy about who my kittens are sold to and will need convincing that your expectations of owning an Abyssinian match mine. 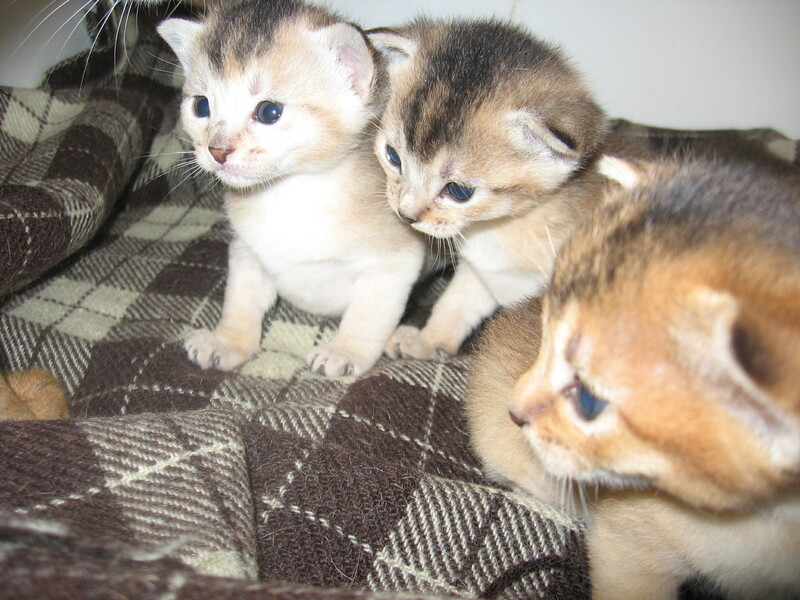 Normally, I will not consider selling kittens outside the UK unless there are exceptional reasons for doing so. 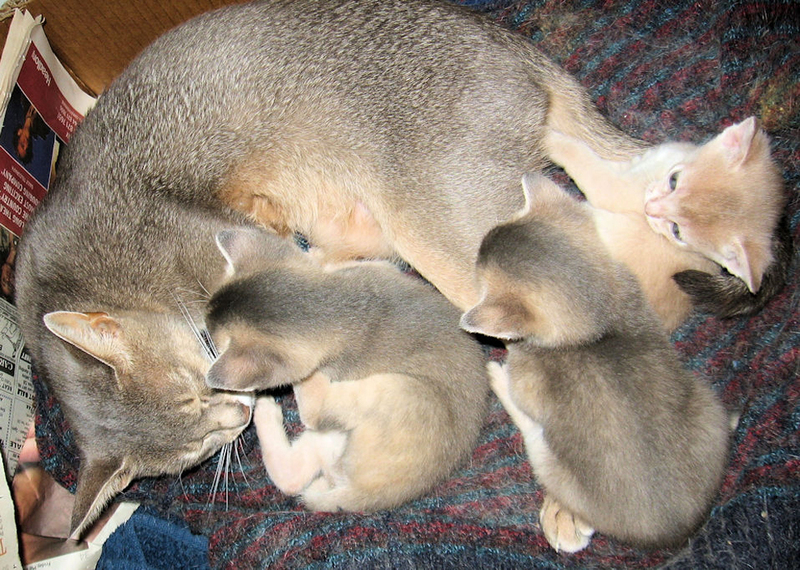 Cloud (Highlight Ivory Cloud – cream silver) and Shem (Palissy Ra Shem Tafari – red silver) had 4 kittens (3 boys and a girl) on Good Friday – all red silvers (scroll down for photos of previous litter from this same mating). Essence Yework Yiha (red silver girl), Essence Yisake, Essence Yilema and Essence Yared (red silver boys) have gone to their new homes (July 2015). 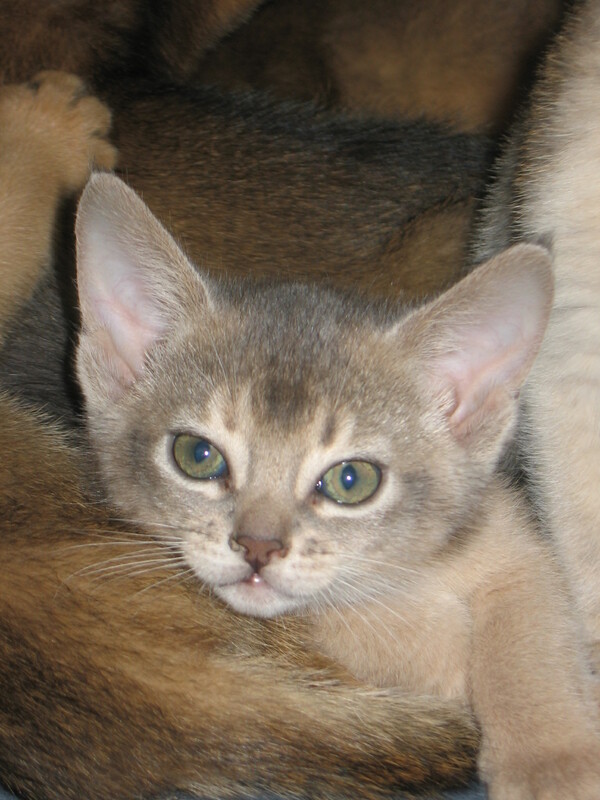 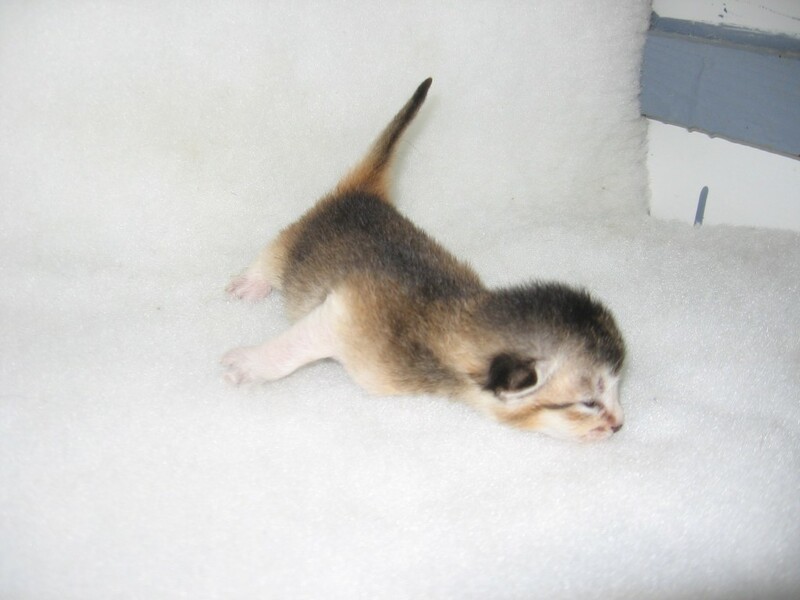 Essence Yared Thor – very silver red silver boy at 5 weeks! 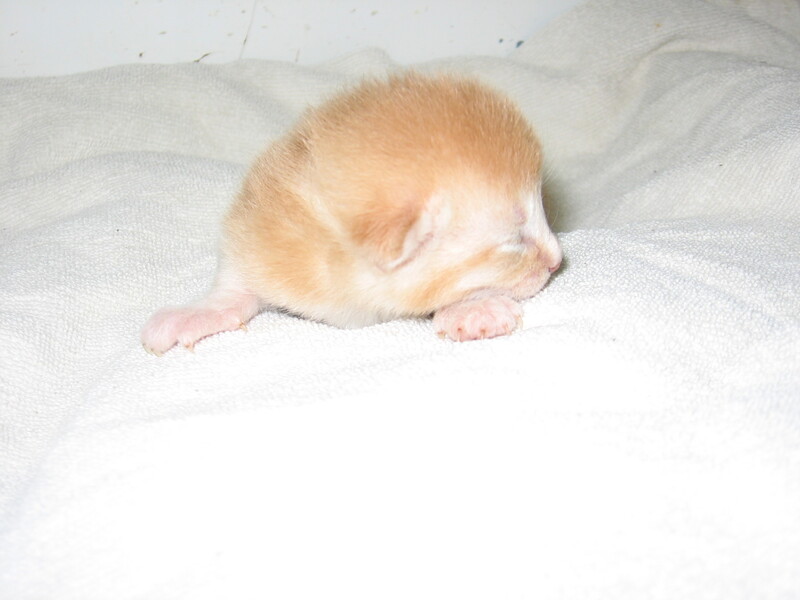 Pansy (Highlight Pansy Sunset – sorrel tortie) and Shem (Palissy Ra Shem Tafari – red silver) had 3 kittens (1 usual and 1 usual silver boys and a usual tortie girl) in the early hours of Easter Saturday. 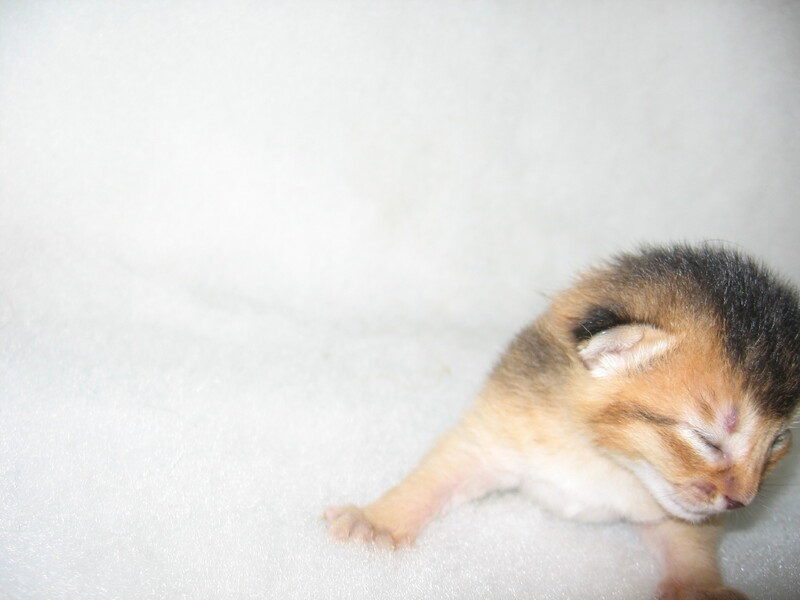 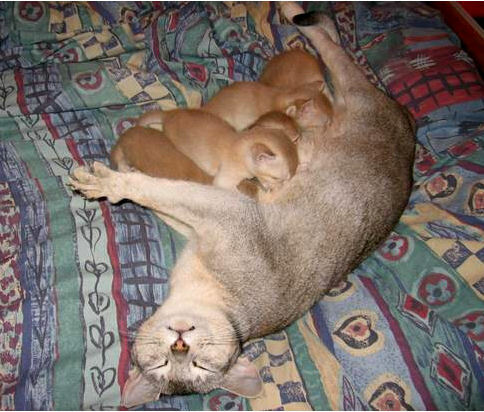 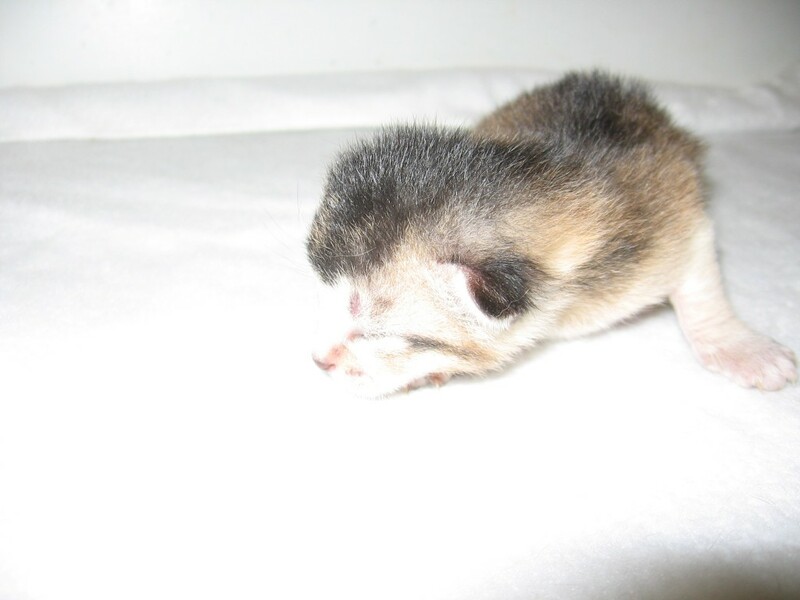 Below are image galleries of previous litters. 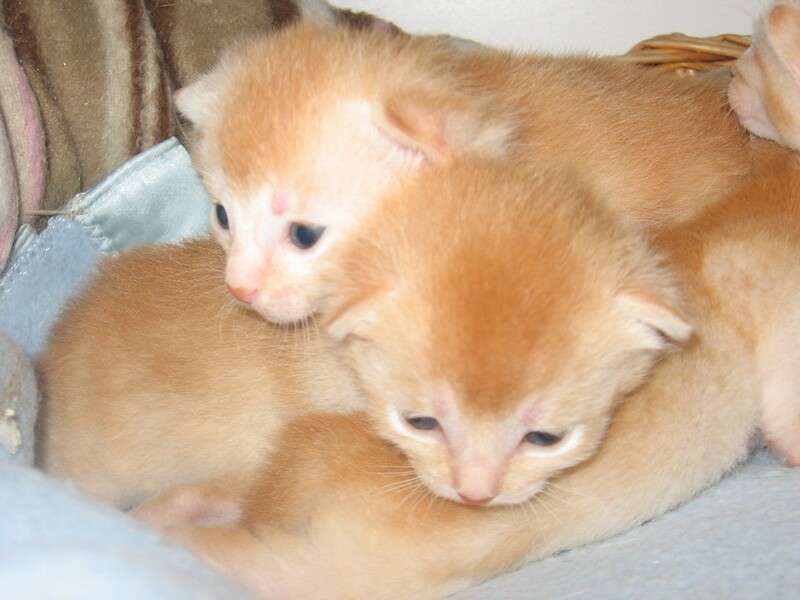 Just click on the pictures to enlarge them and click on the enlarged picture to close the gallery and return to the website. 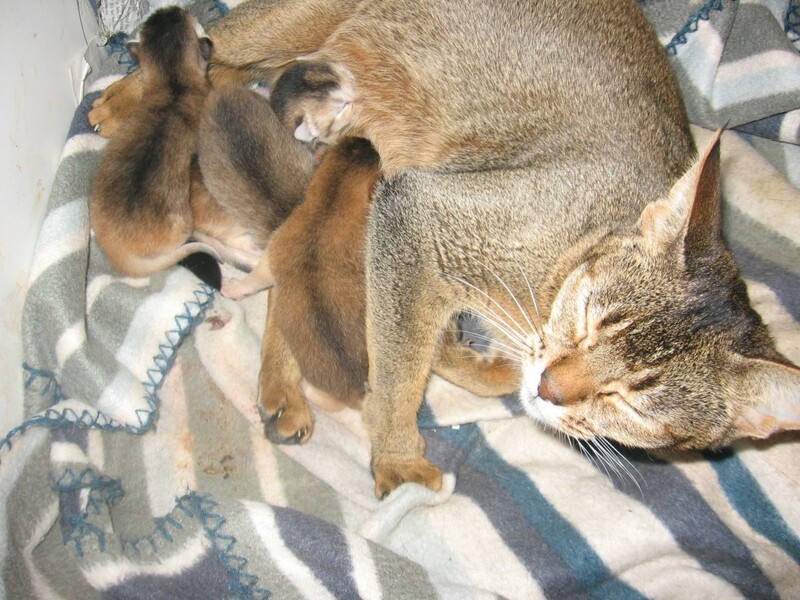 Shaybe (usual) had 4 kittens on Monday 4th January 2015 by Shem (Palissy Ra Shem Tafari – red silver). She had 2 boys (usual and usual silver) and 2 girls (usual tortie and usual silver tortie). 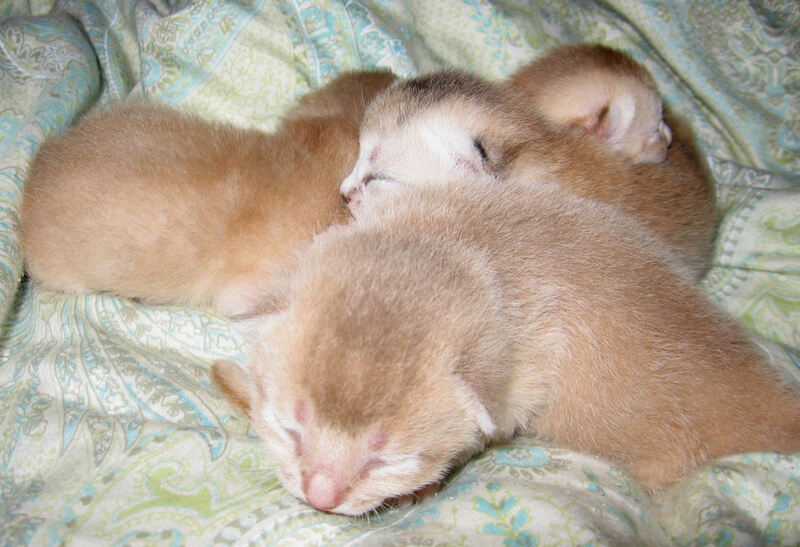 They have all gone to their new homes. 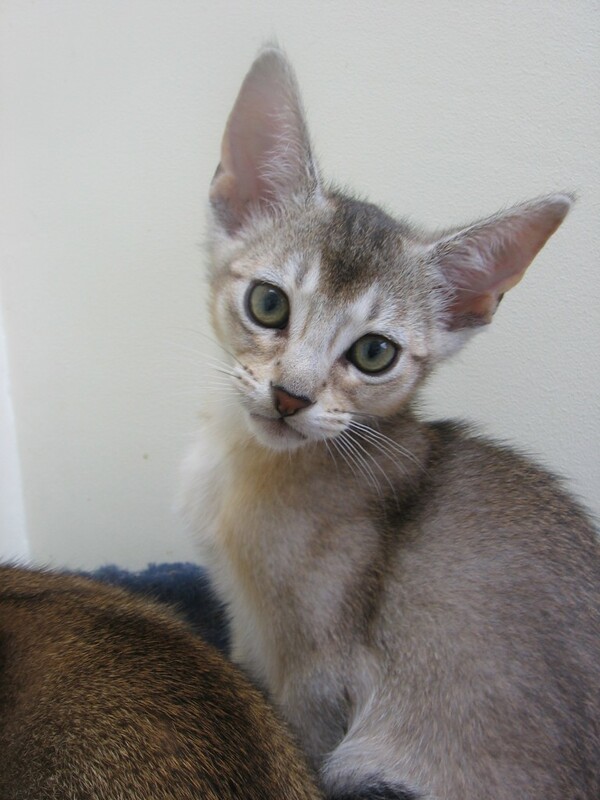 All 3 kittens have gone to their new home – together, thank you so much S and G.
Highlight Pansy (sorrel tortie) and Palissy Ra Shem Tafari (red silver) had 4 kittens on 21 July – sadly a very beautiful red silver boy (Essence Theofeleios – meaning “Loved by God”) died at birth but we have 2 usual tortie girls and a usual silver boy remaining. 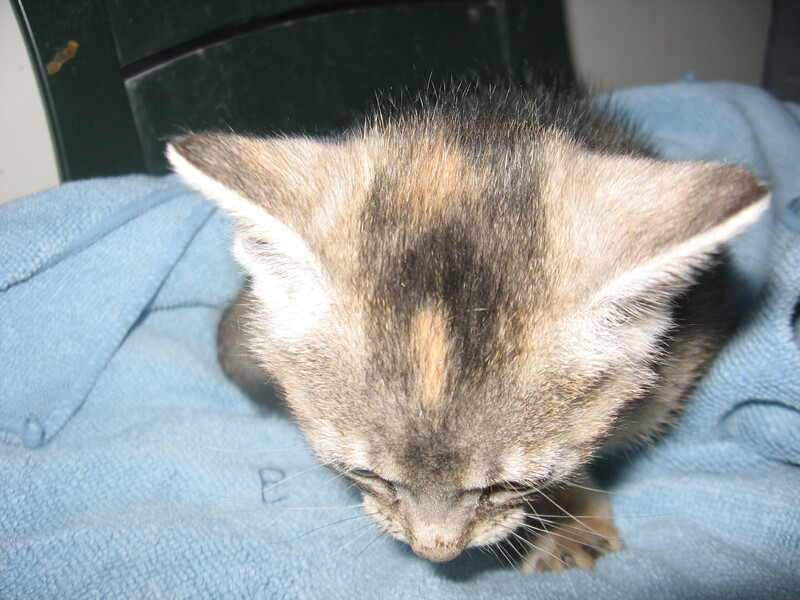 Tad (usual tortie girl) – see the red stripe on her forehead – on the right! Essence Tadelech (Tad) my most special little usual tortie girl at 1 week old. Pansy with Tadelech left and Taye in the middle of his two sisters. 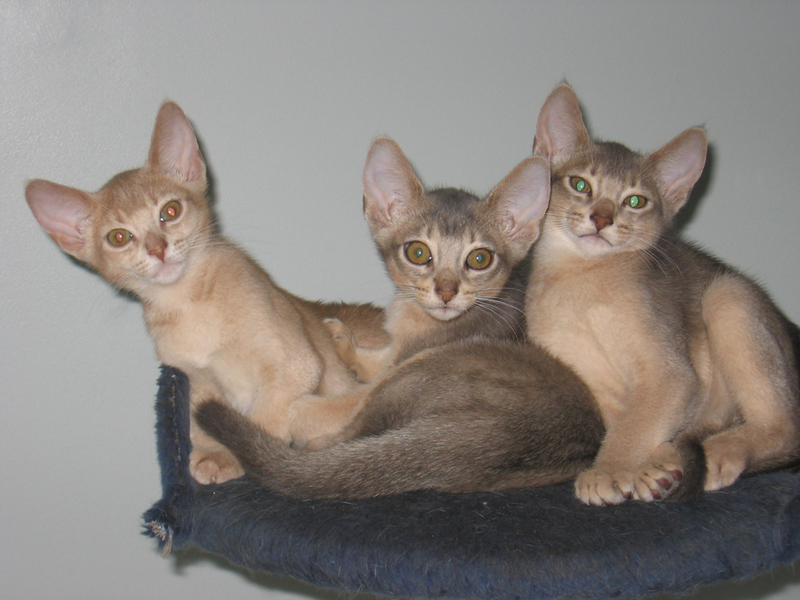 The reserved kittens are: Essence Sisay Dante (usual boy), Essence Shanani Sky (usual tortie girl), Essence Semira Minnie (usual tortie girl ) and usual silver boy (Essence Senay Henry). 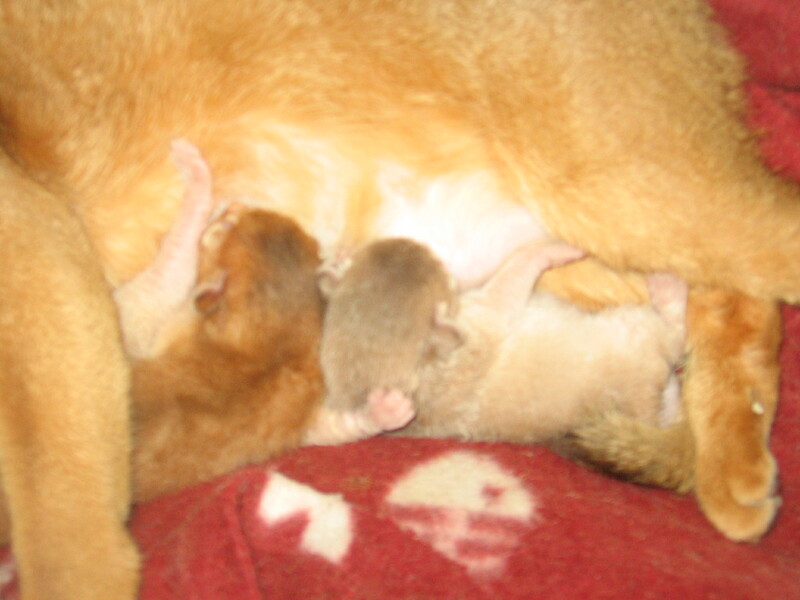 Mugging of the Milk Bar! 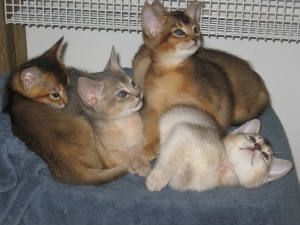 5 red silvers – 2 males and 3 very rare females ! 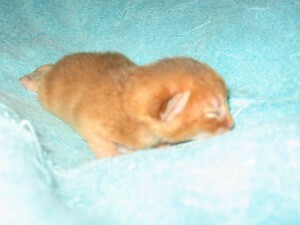 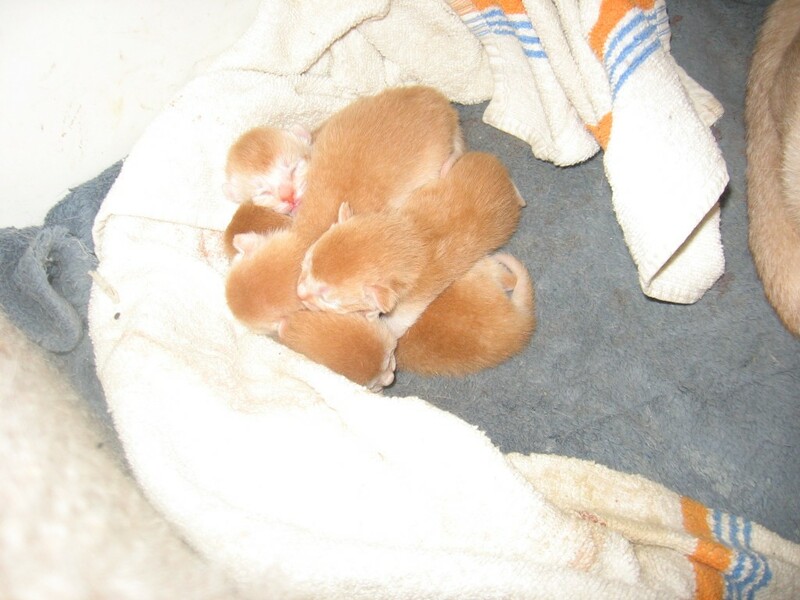 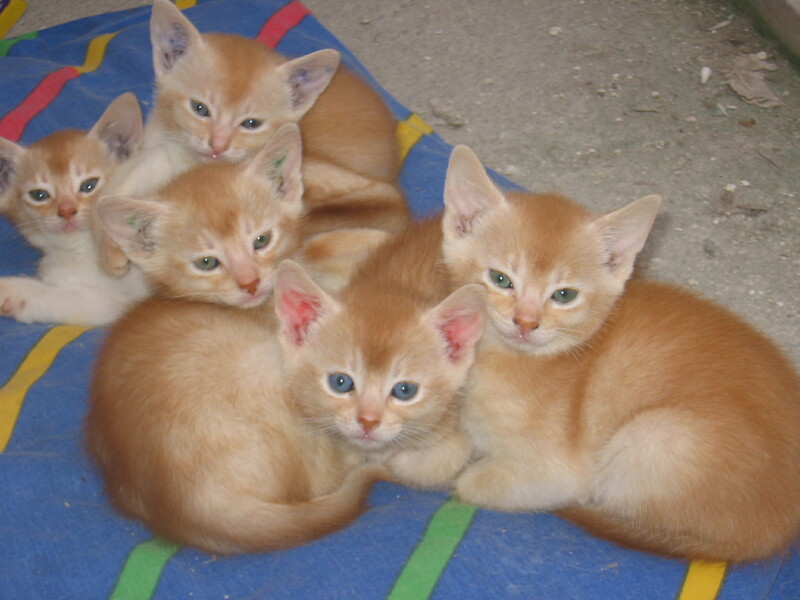 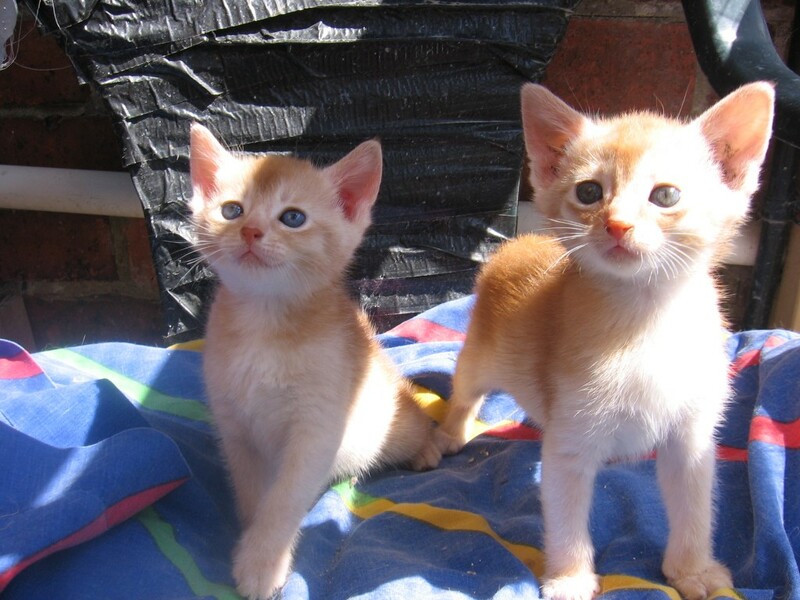 First time red silver girls have been bred in UK as far as I know and first litter of 5 red kittens? 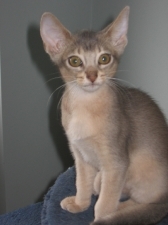 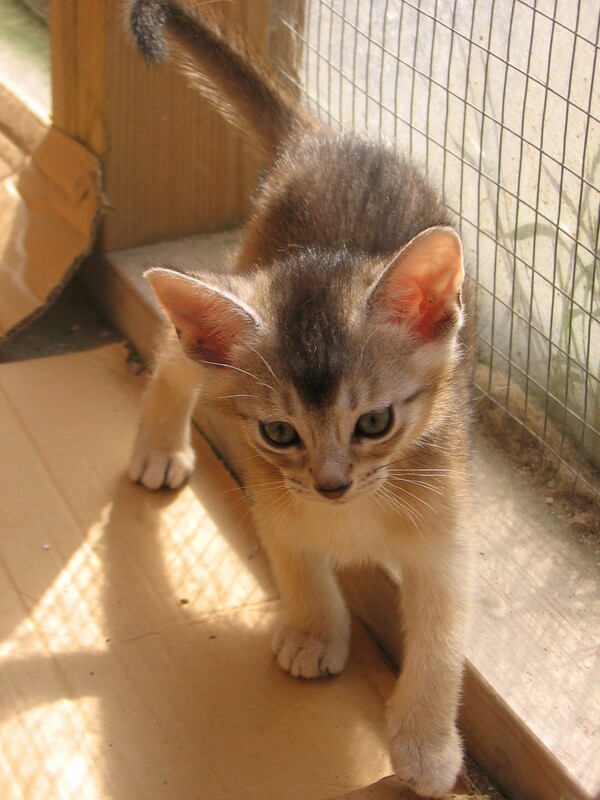 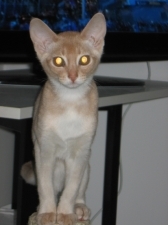 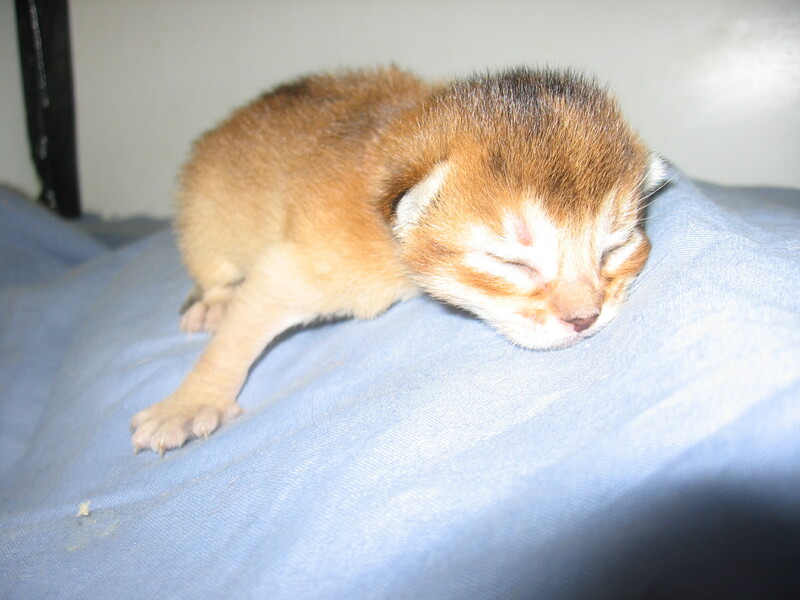 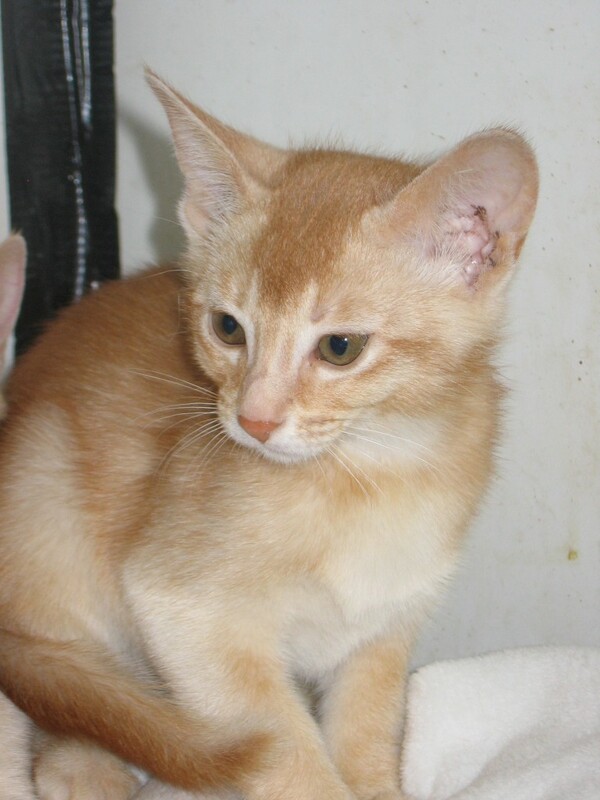 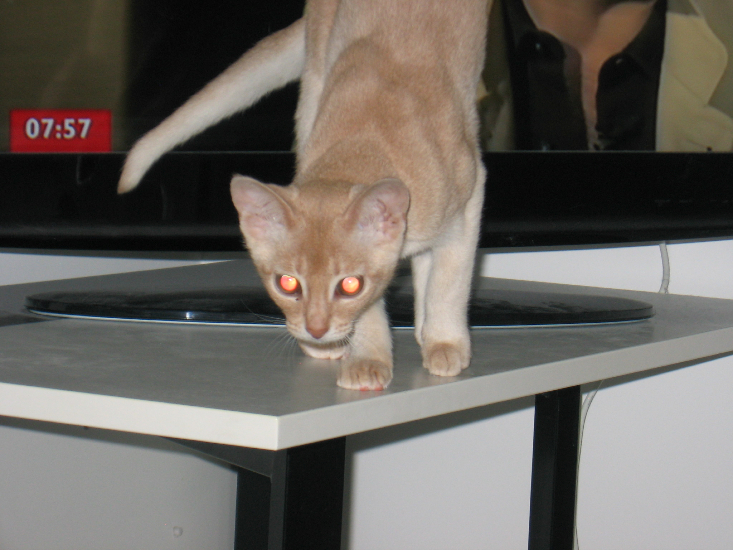 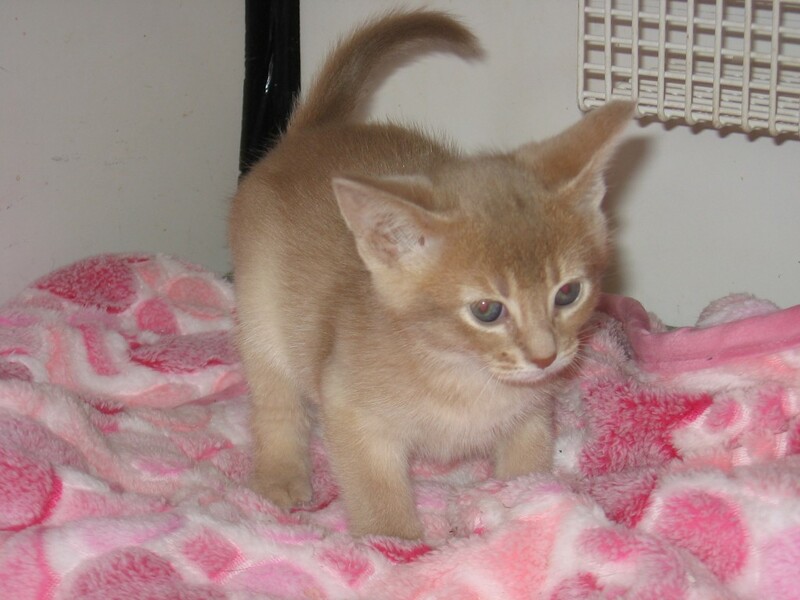 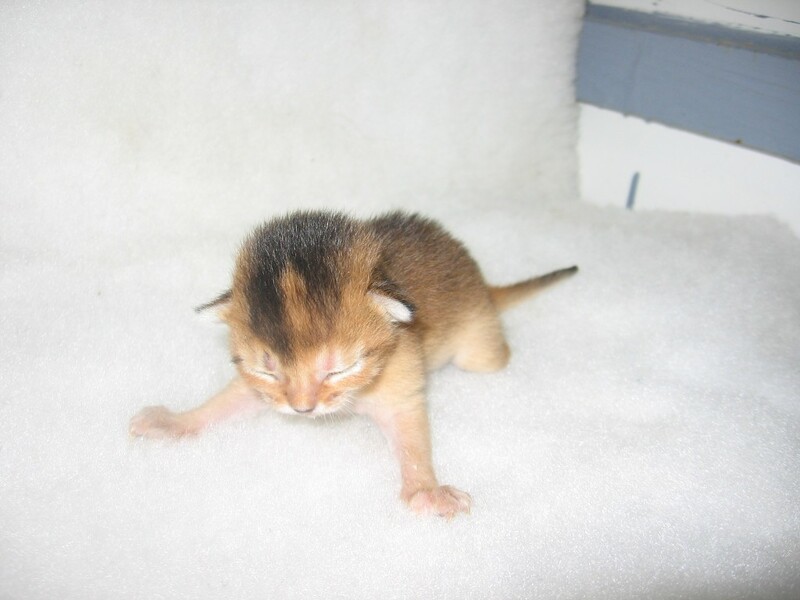 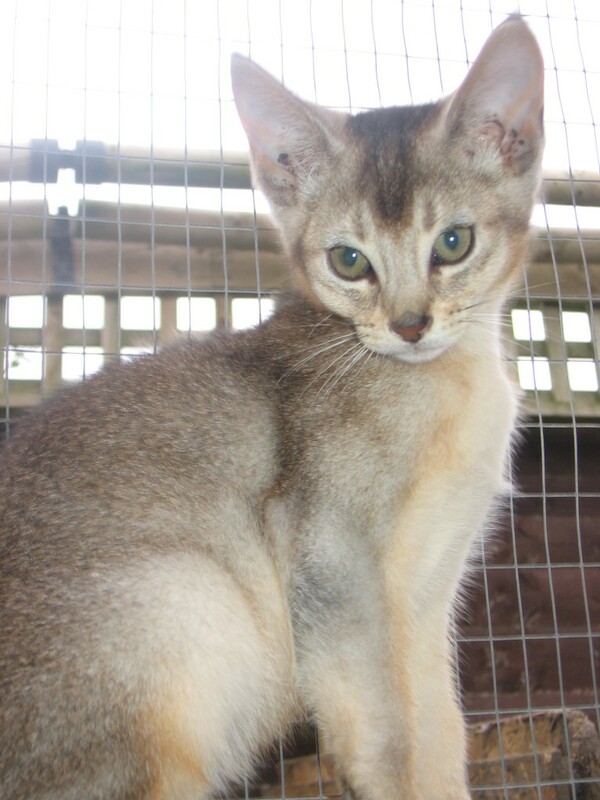 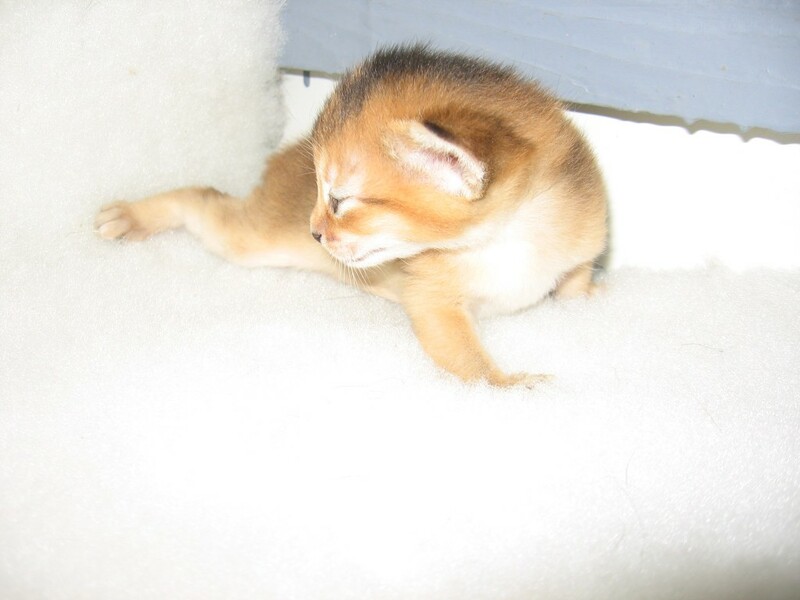 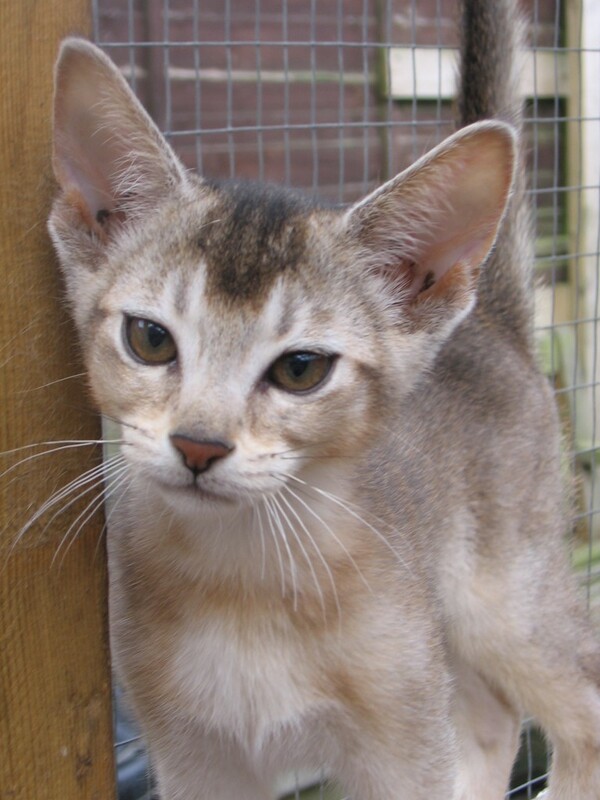 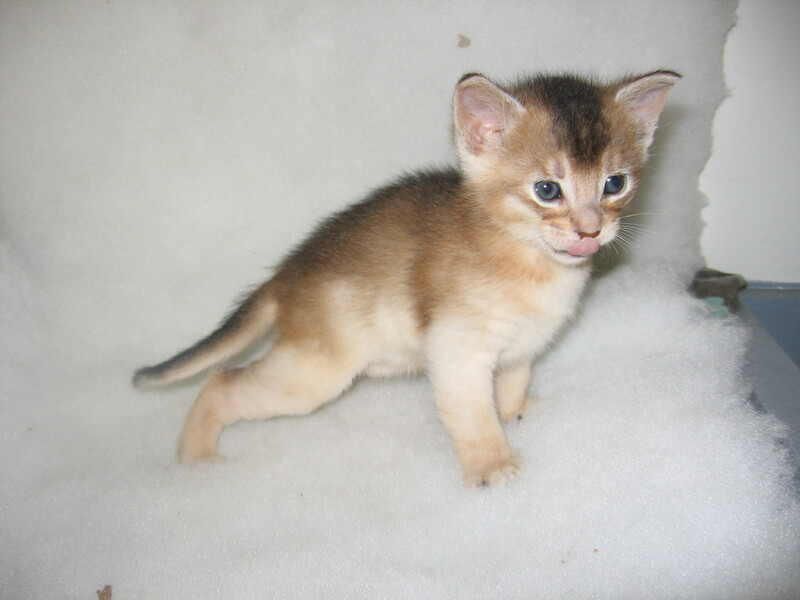 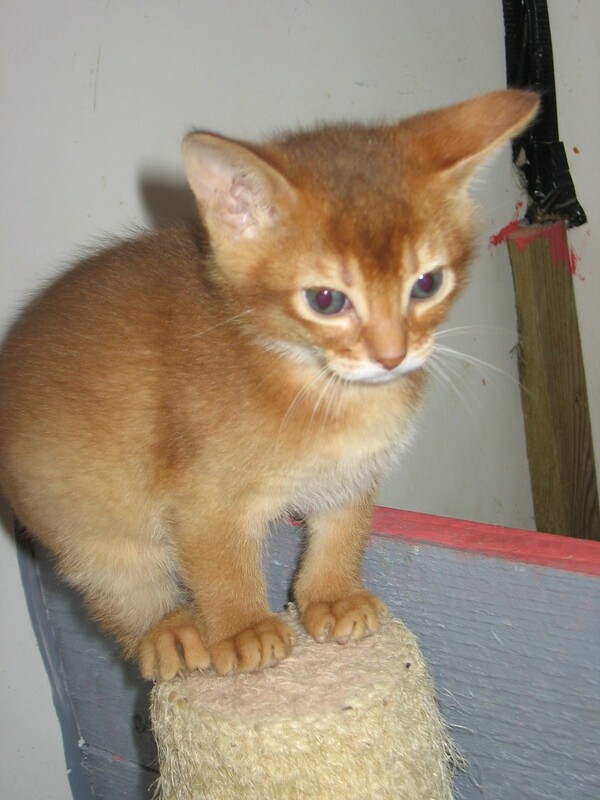 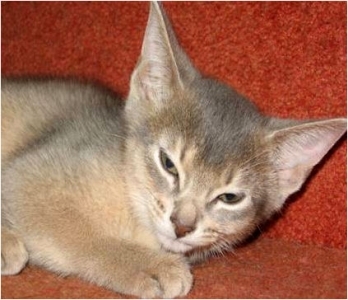 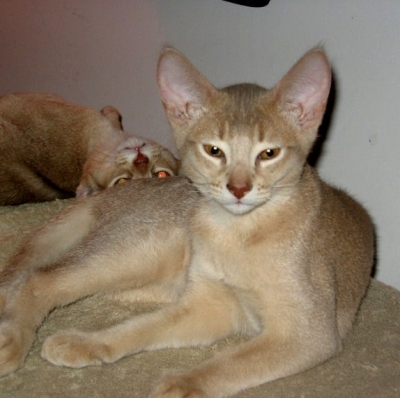 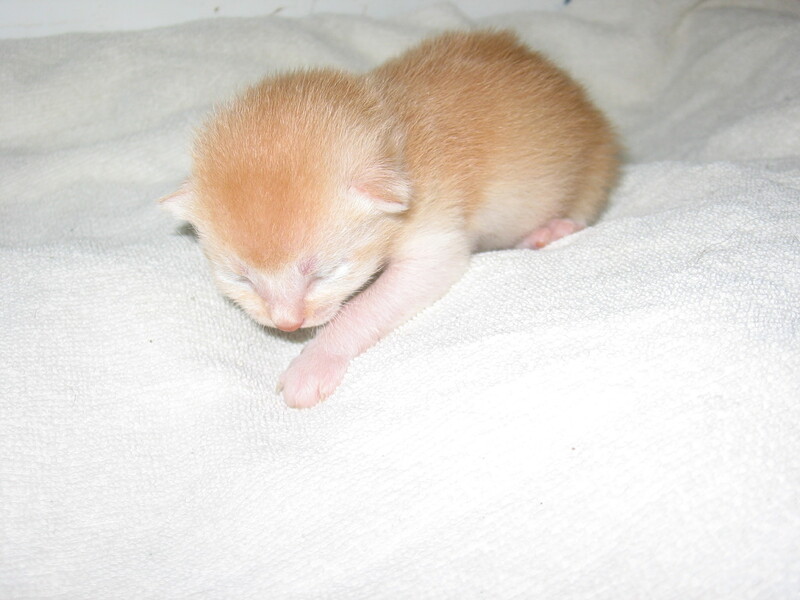 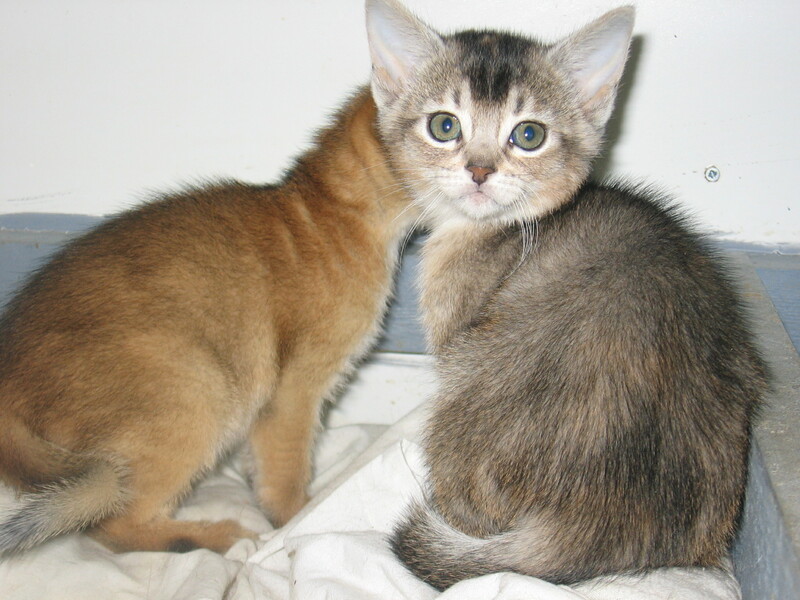 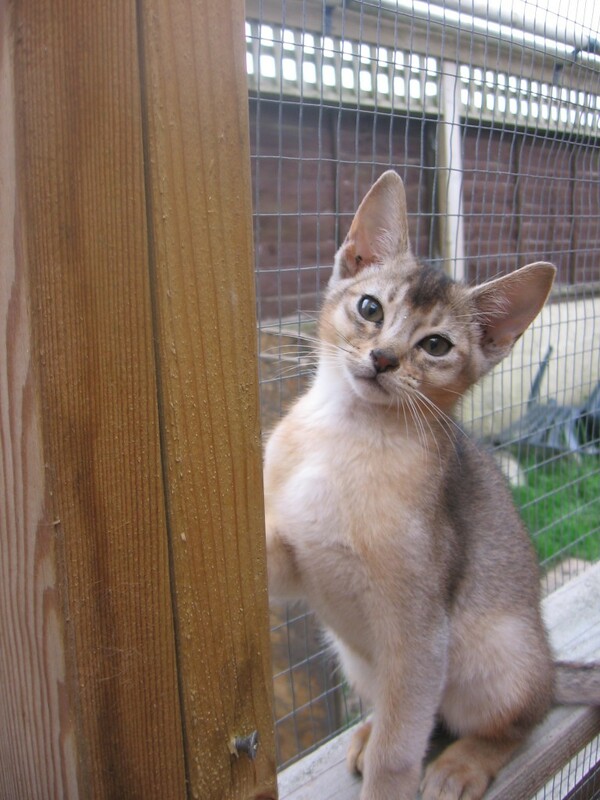 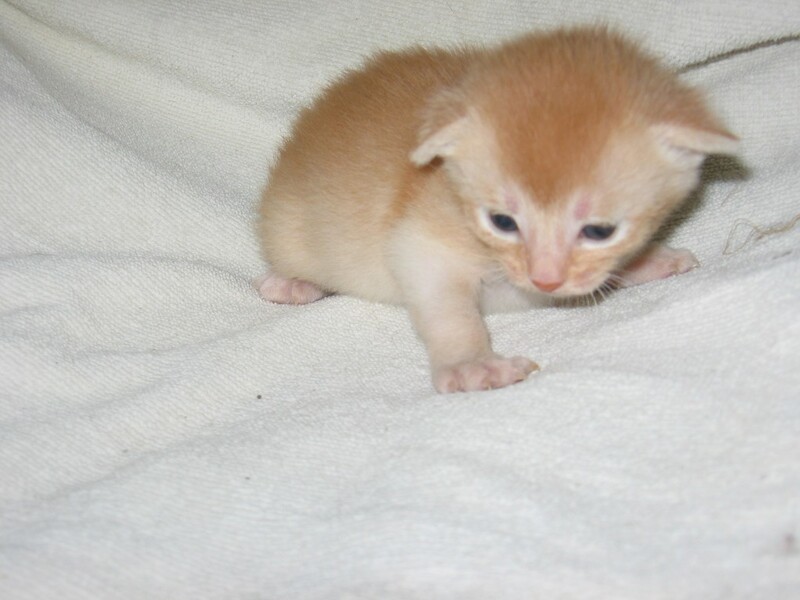 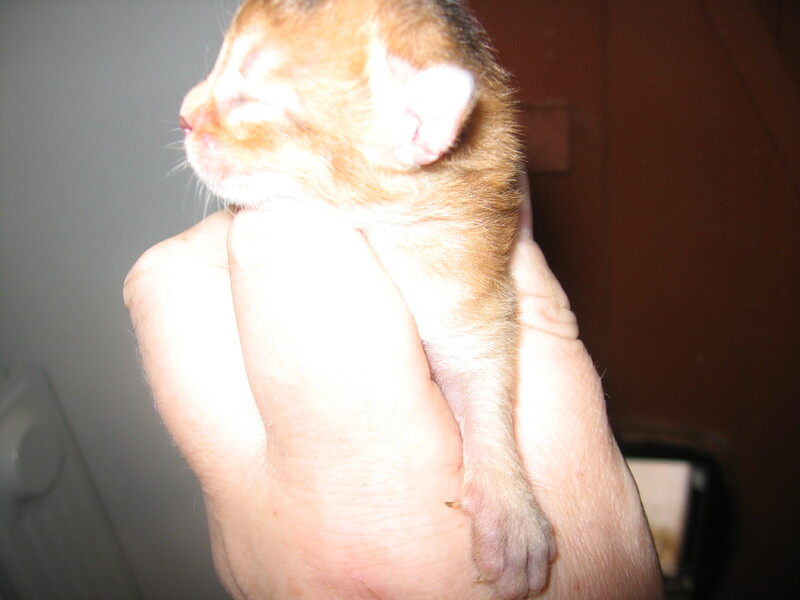 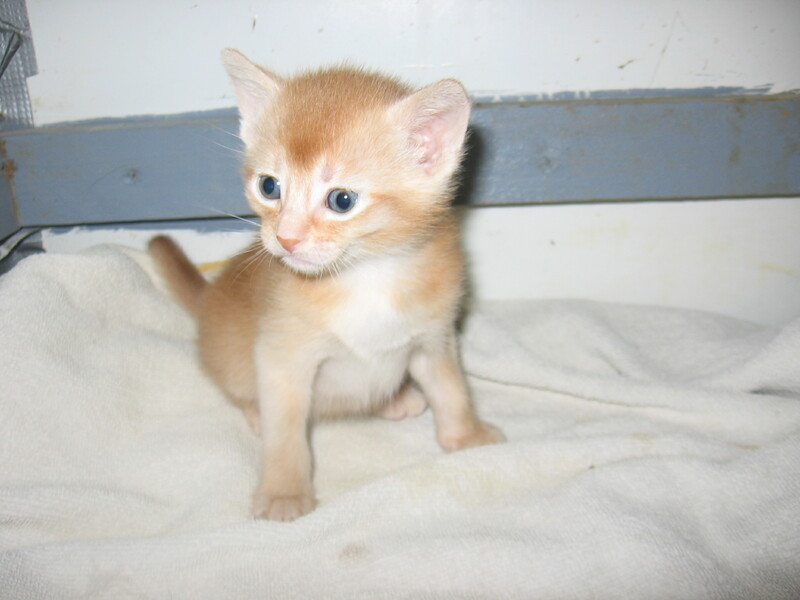 The first none silver red girl was bred by Flamstone Abyssinians and I have the second (I think!) 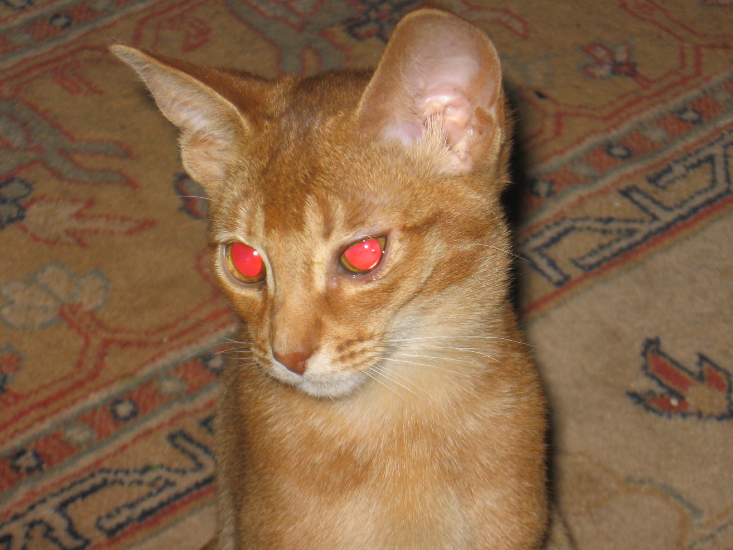 Essence Flame of Madiba (see Queens’ page). 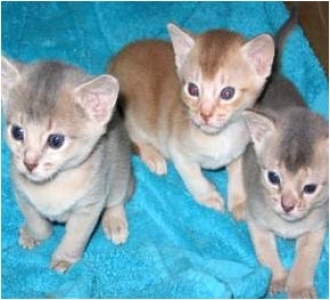 2 red silver males (reserved) and 2 red silver females (reserved). I am keeping the 3rd red silver girl (Essence Persinna) to breed from. 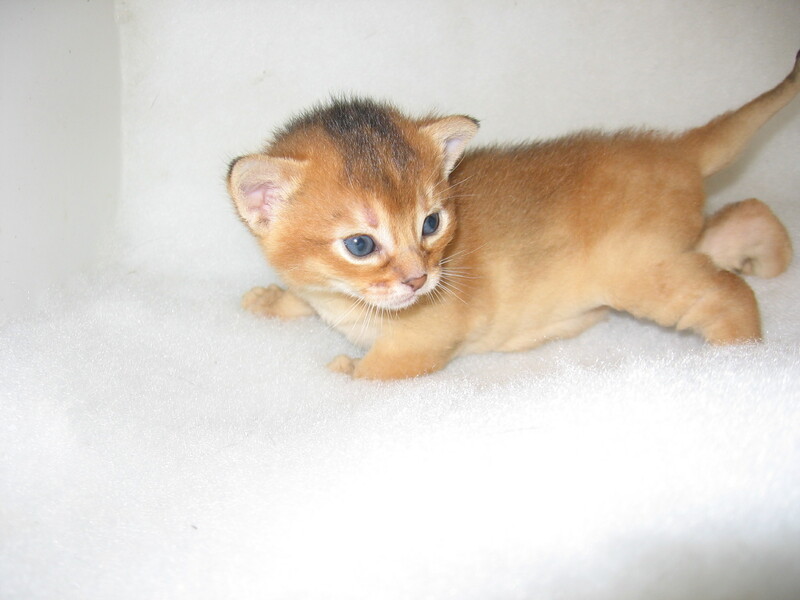 Essence Rohama Ruby (girl) – reserved. 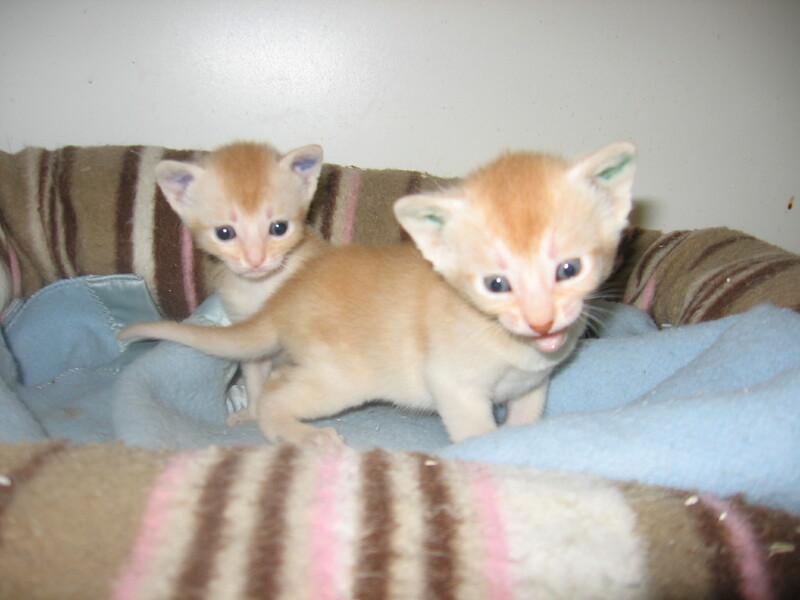 Red silver girls at 3 weeks – see red marker in ear to tell them apart! 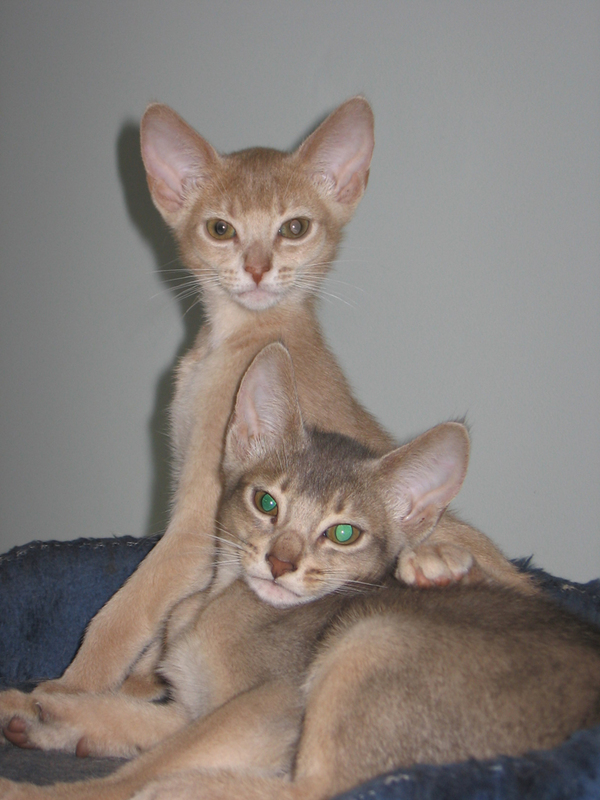 2 red silver boys – 3 weeks – see colours in ears! 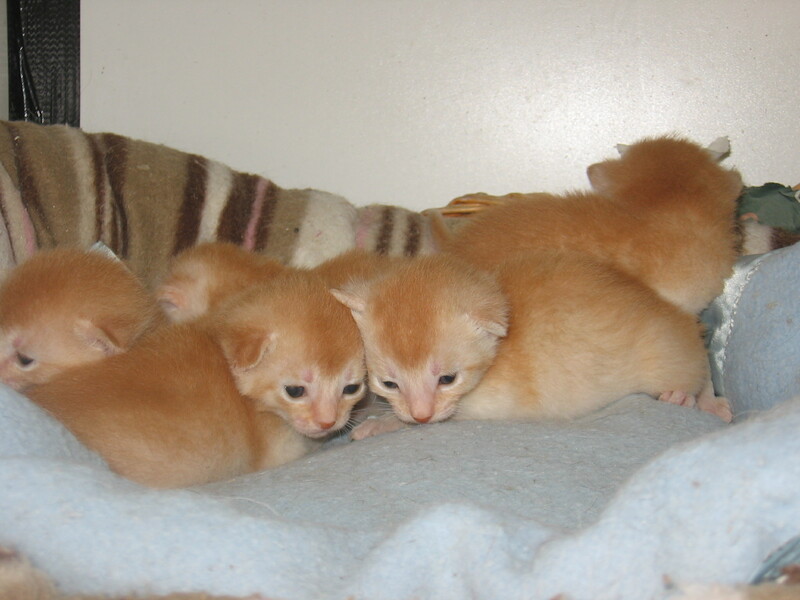 Exceptional 5 red silver litter! 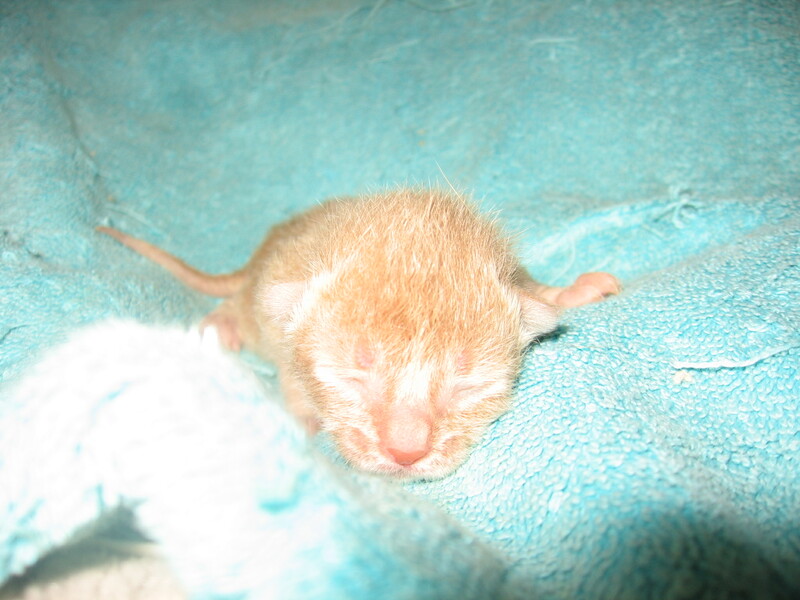 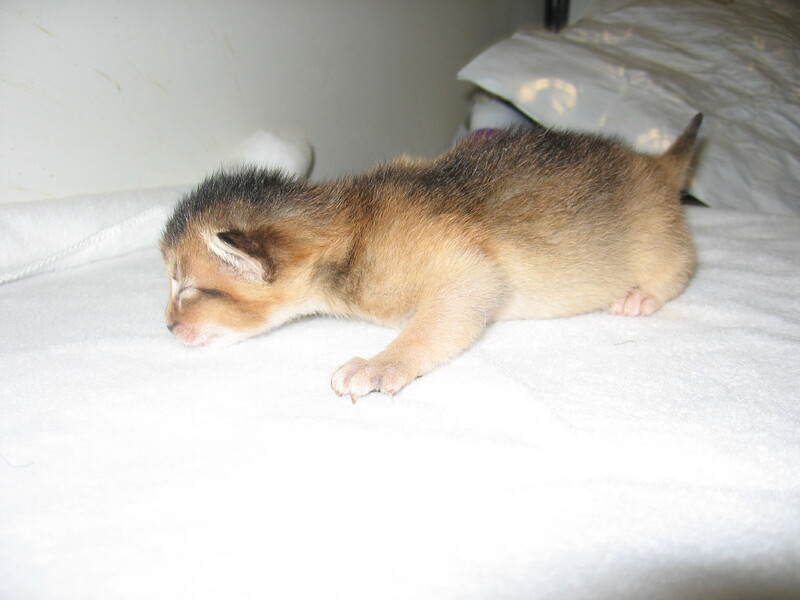 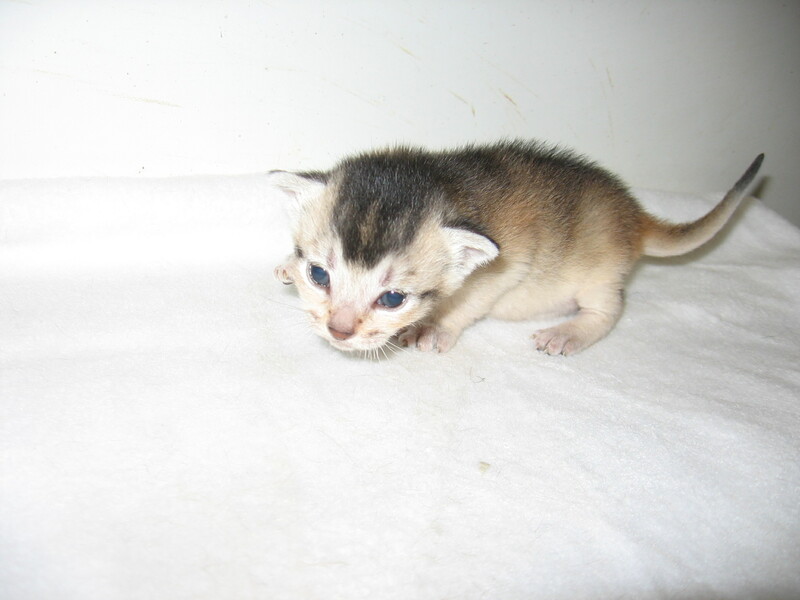 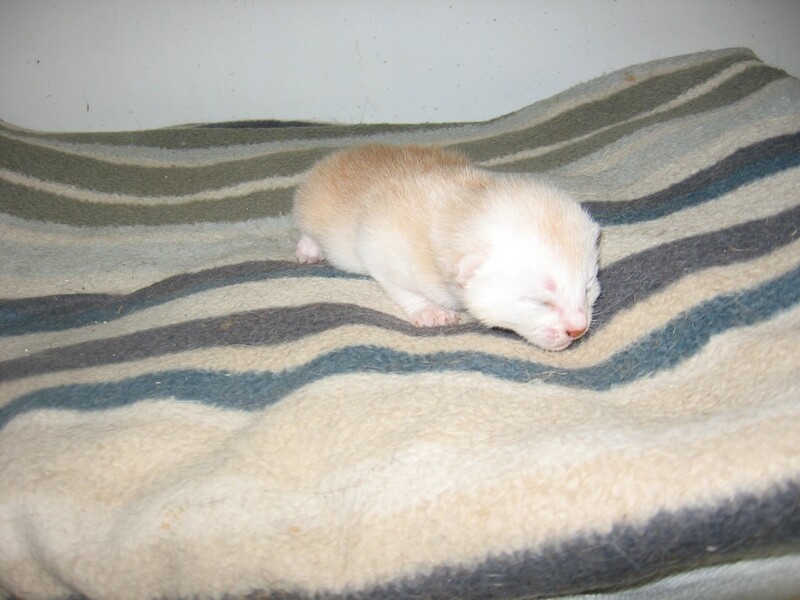 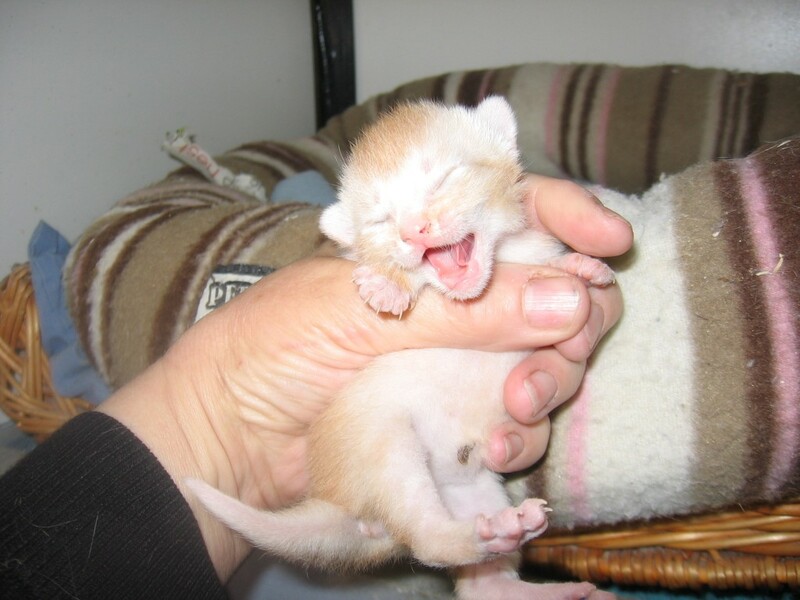 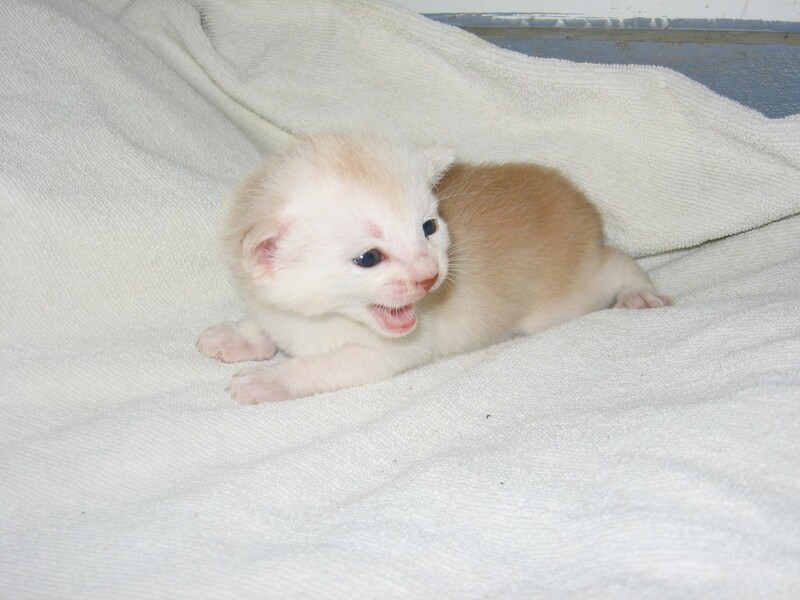 Not the happiest kit at photo call….8 days old! Scroll down to see 2 tortie silver girls, a usual silver boy and a usual boy – all gone to their new homes! 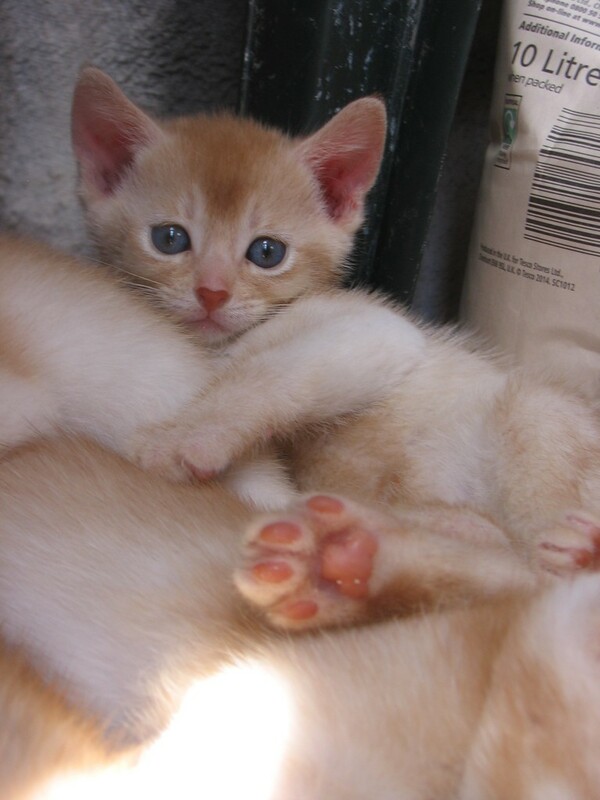 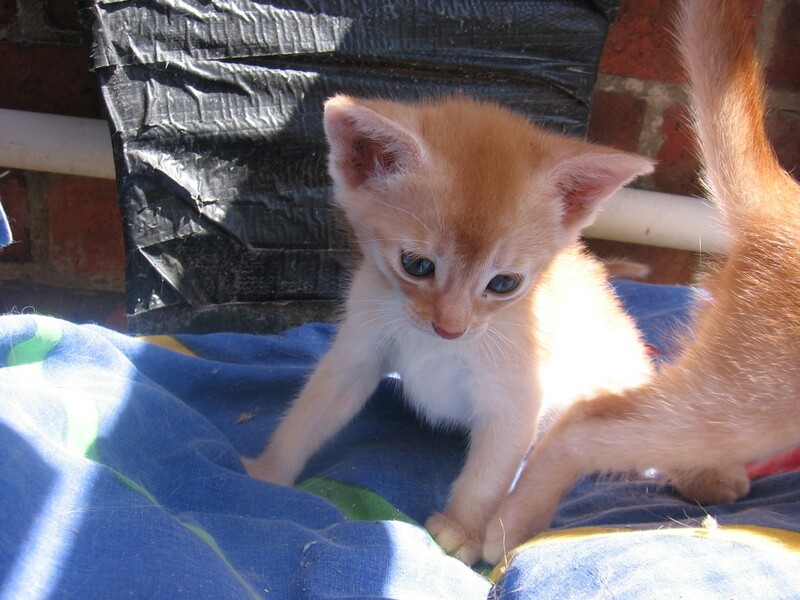 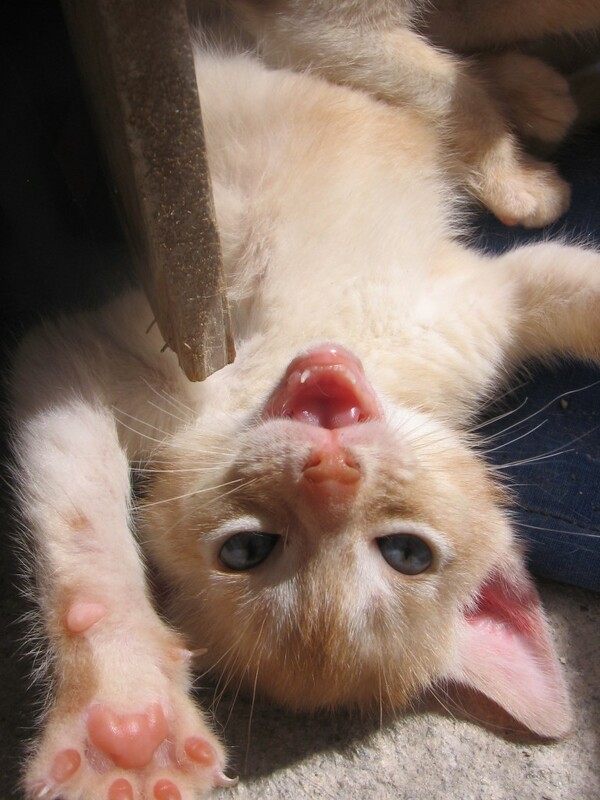 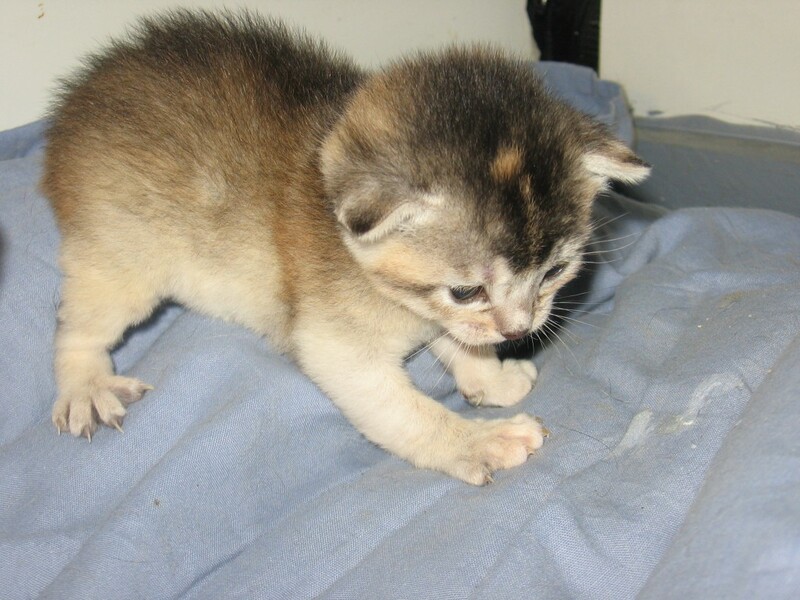 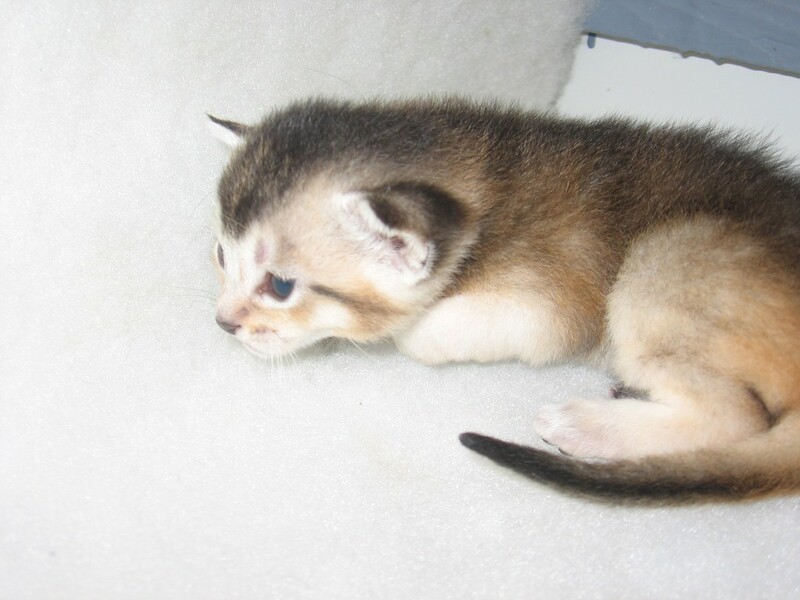 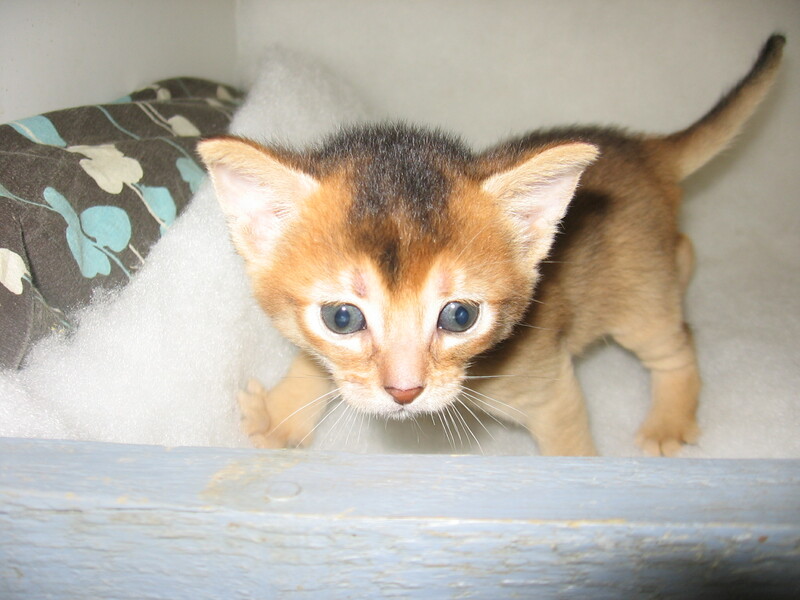 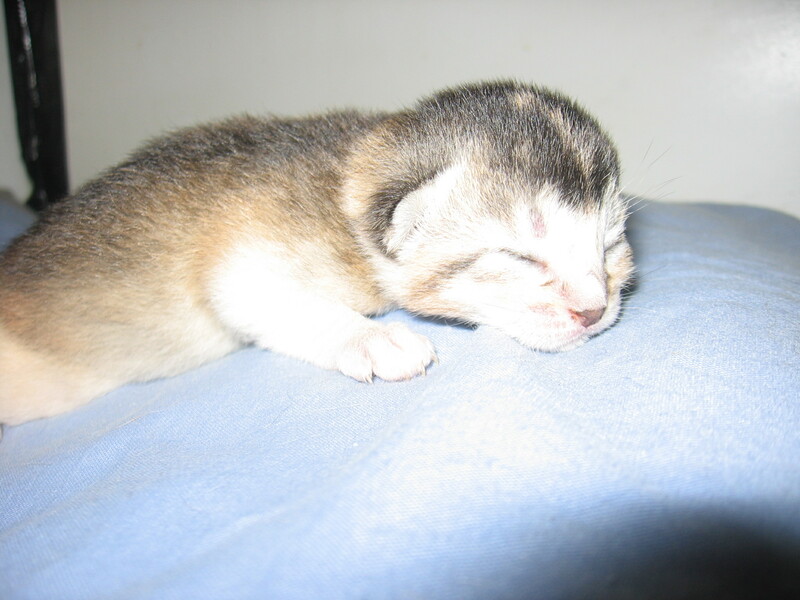 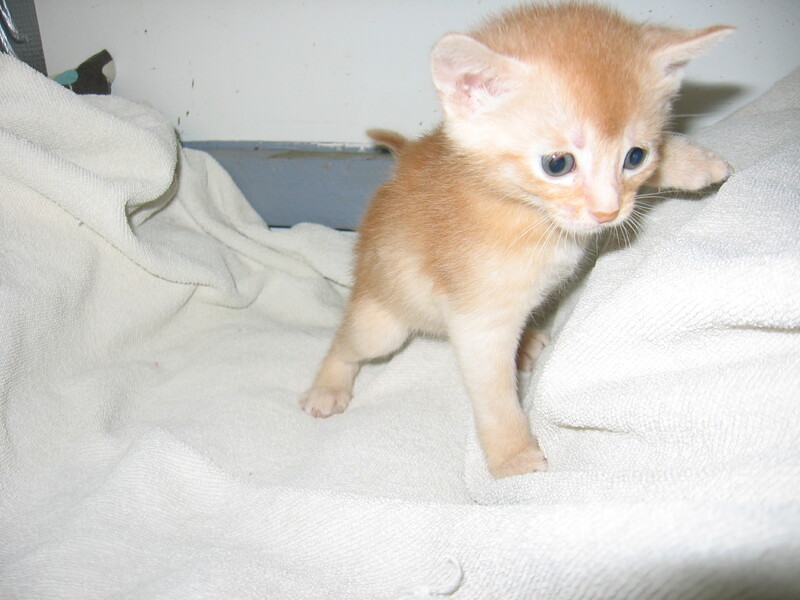 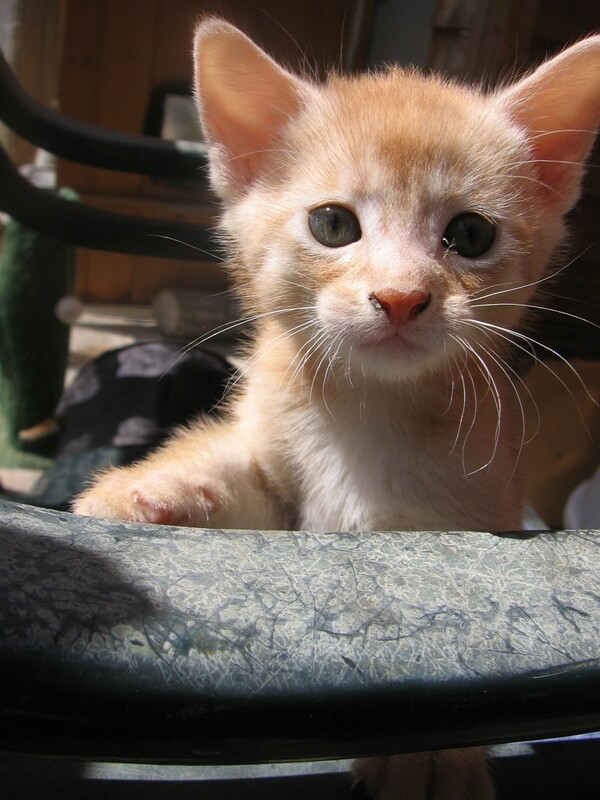 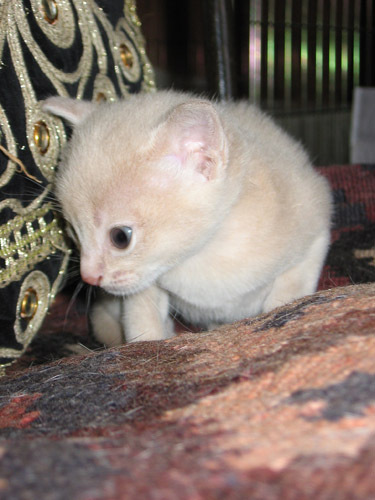 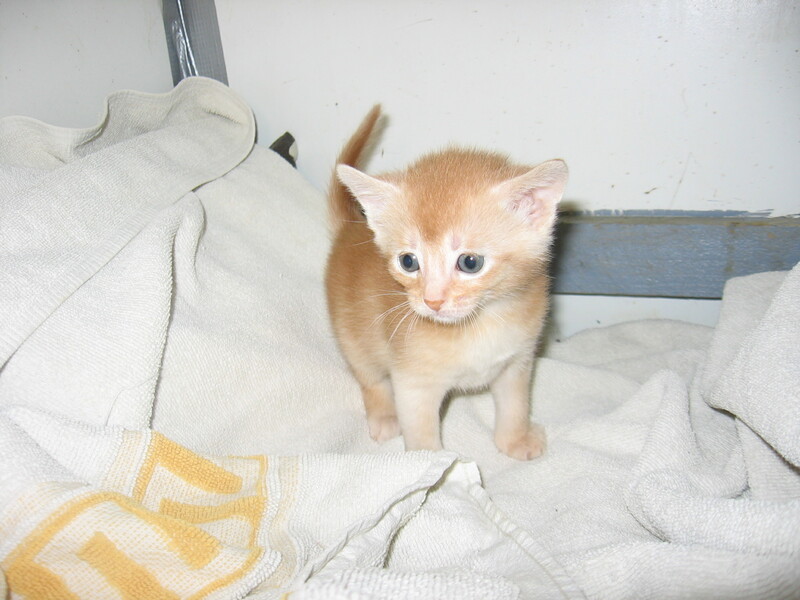 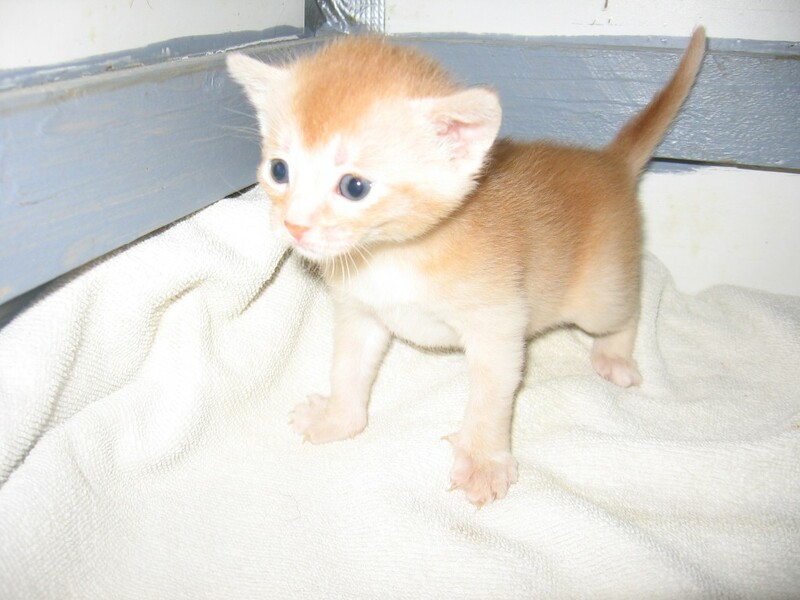 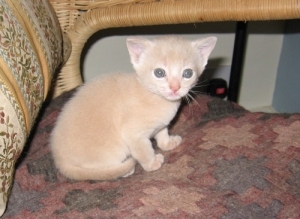 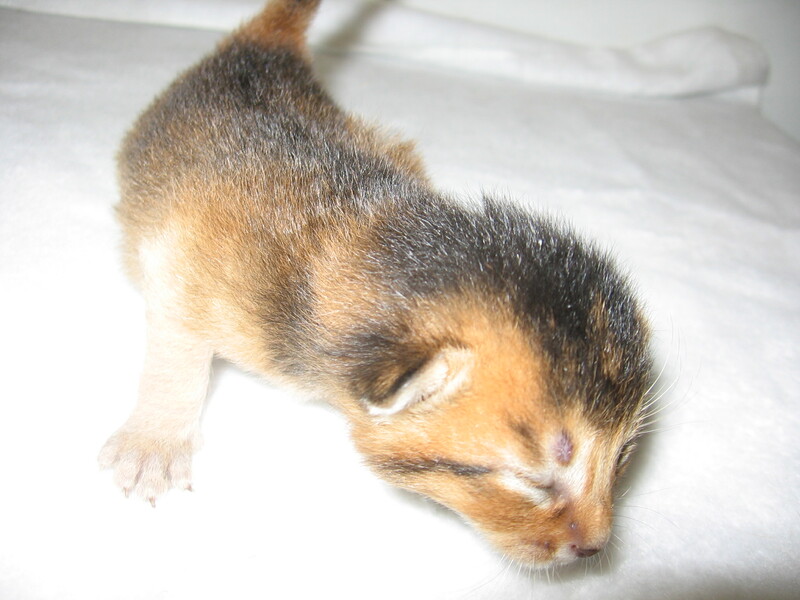 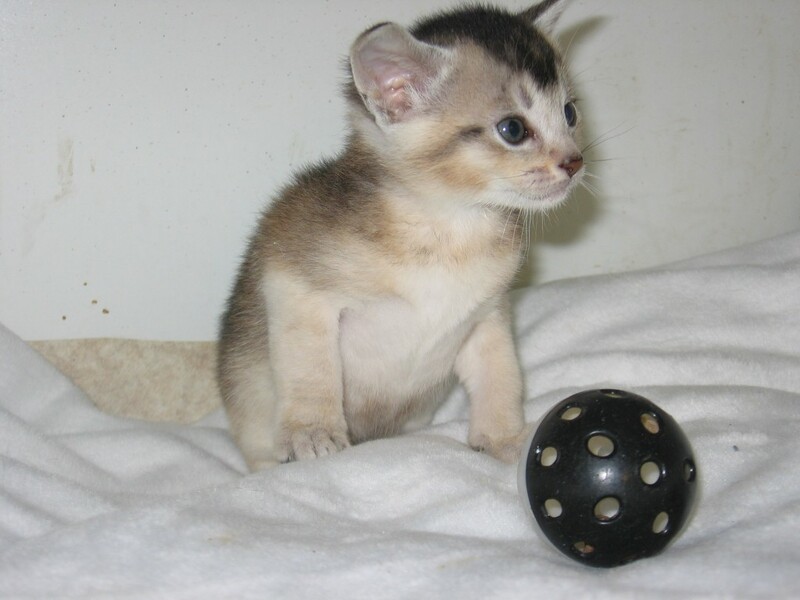 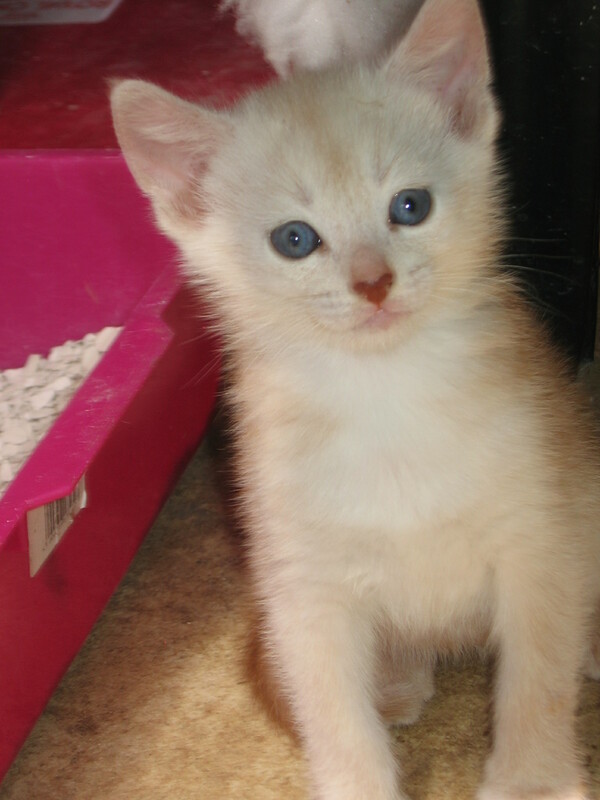 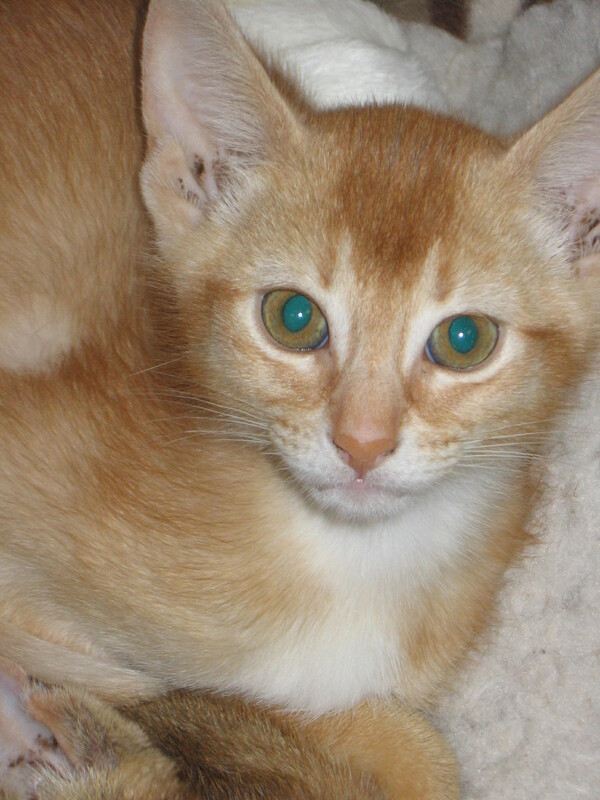 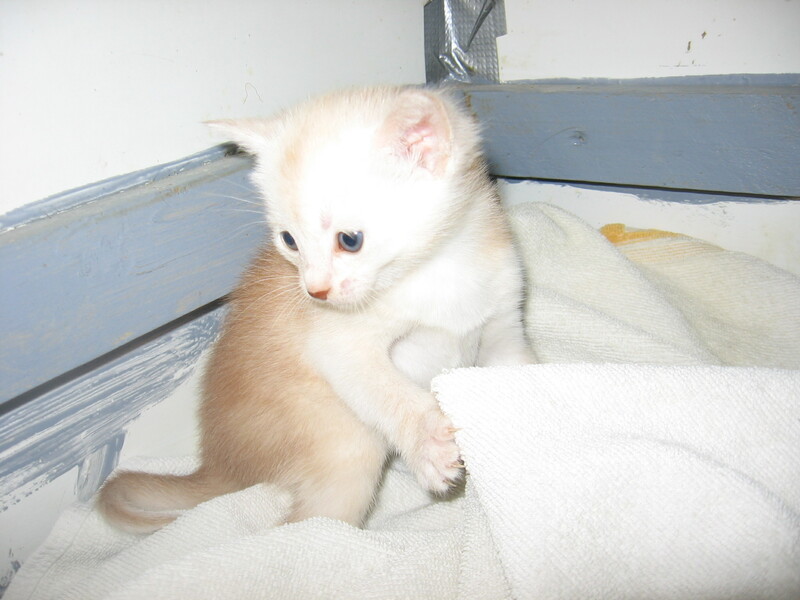 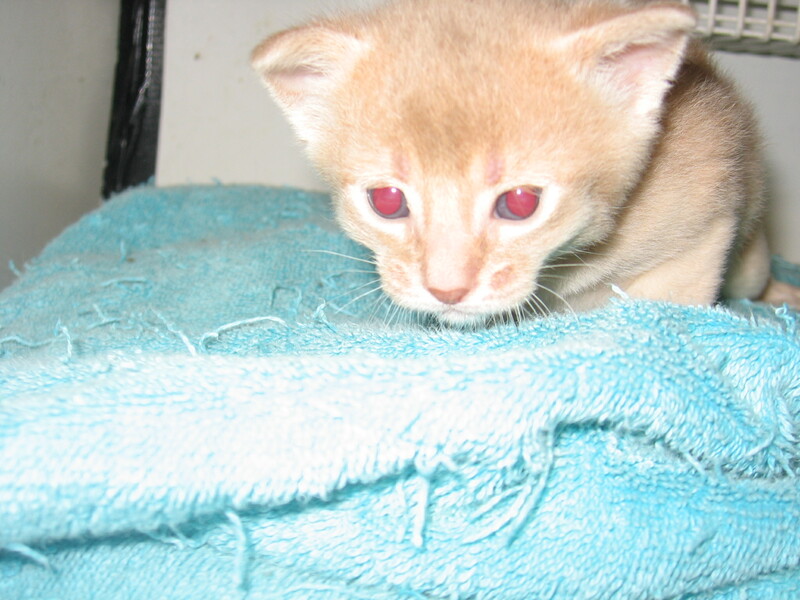 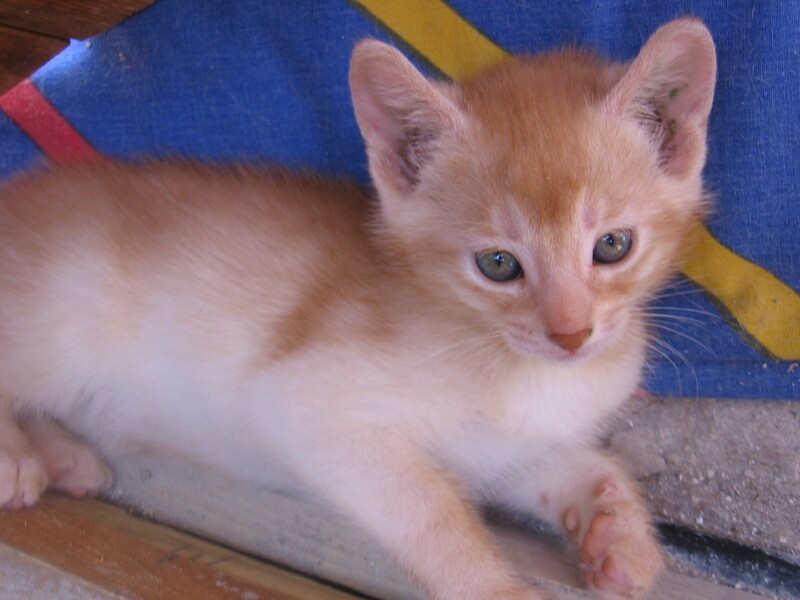 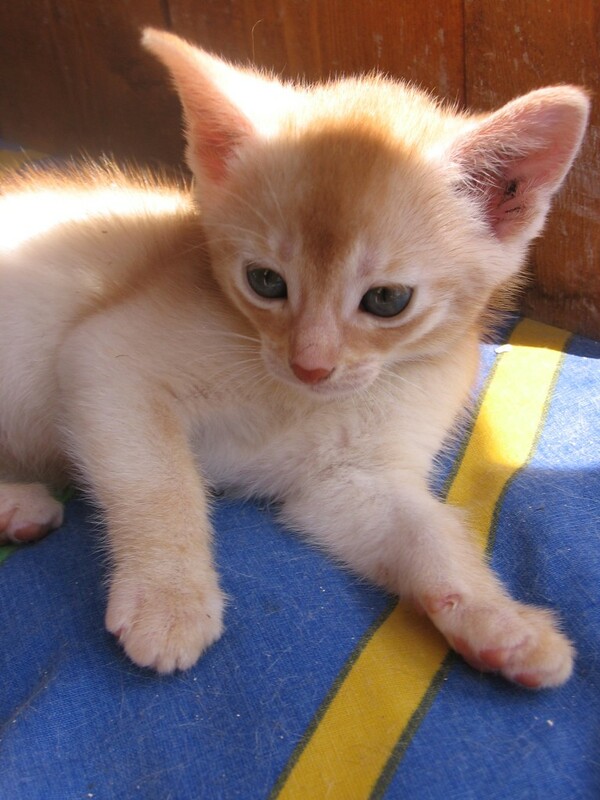 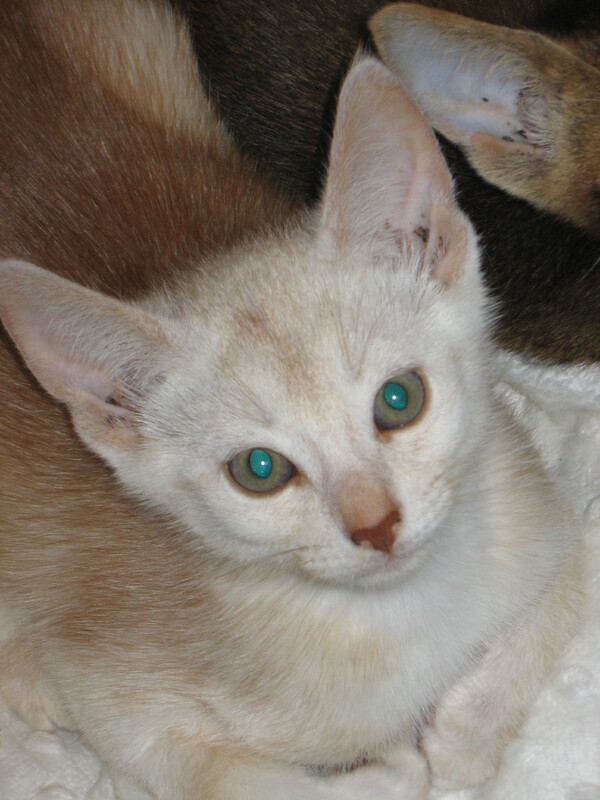 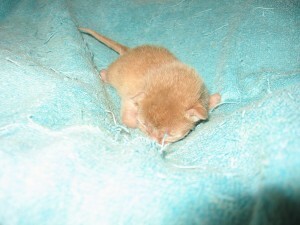 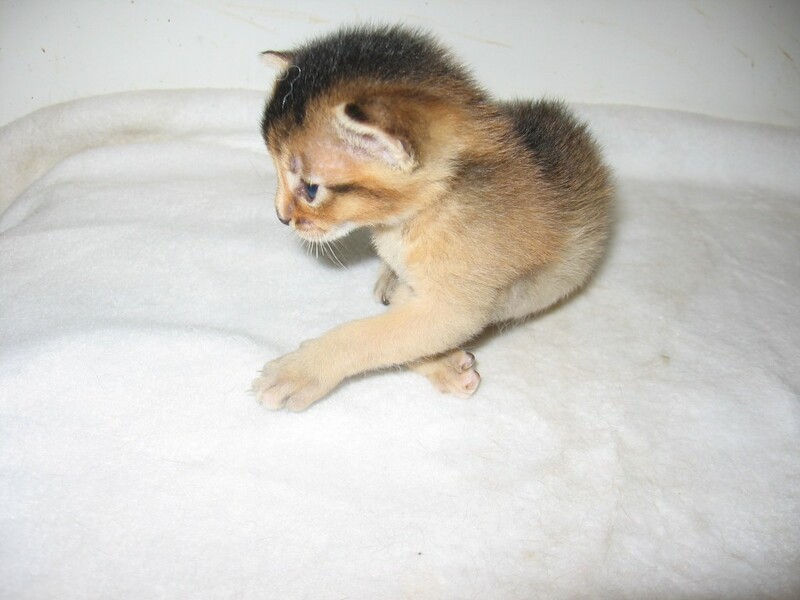 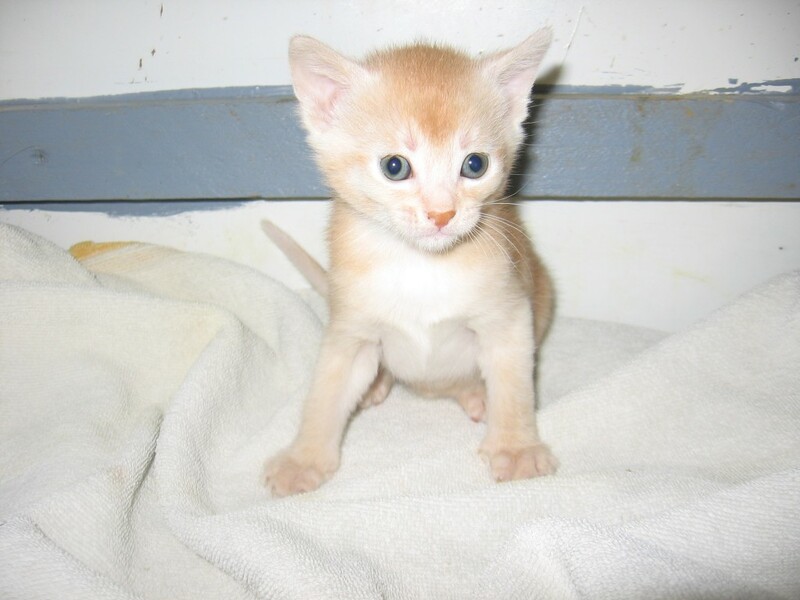 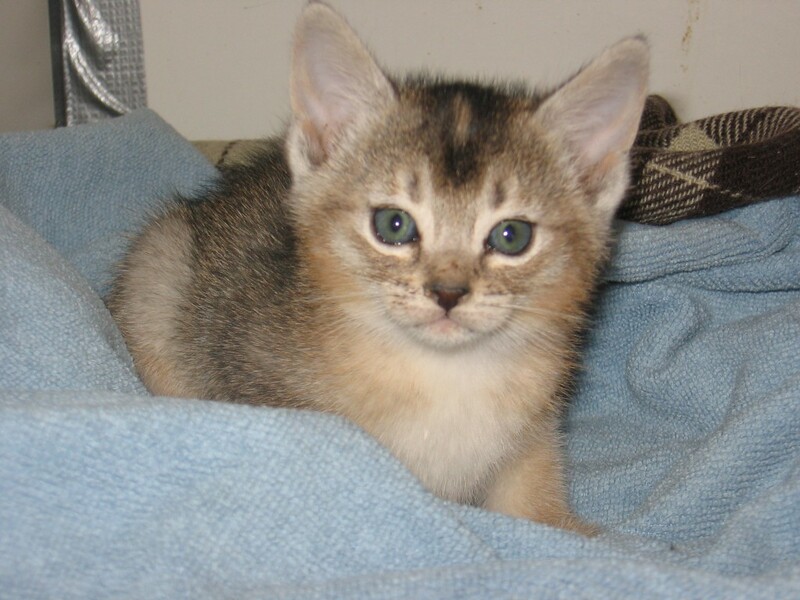 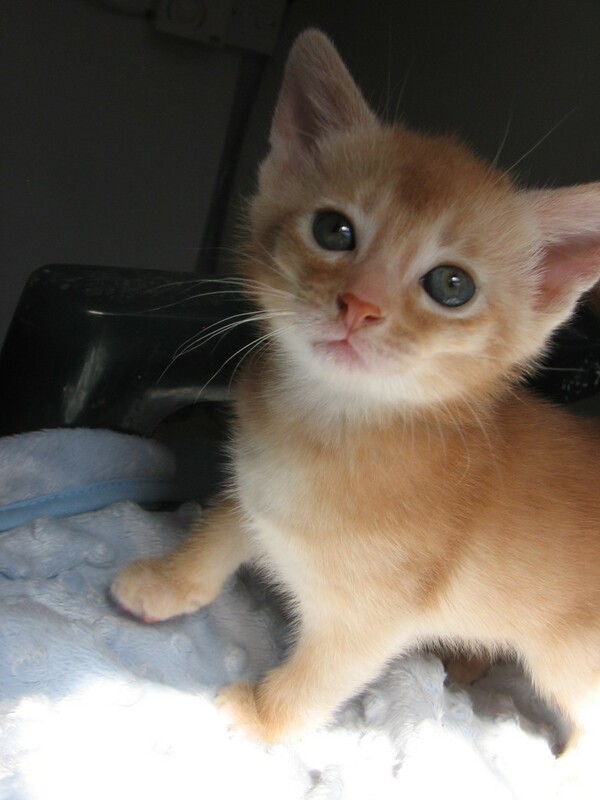 Essence Nishan (at 5 weeks) – see clear red patches! 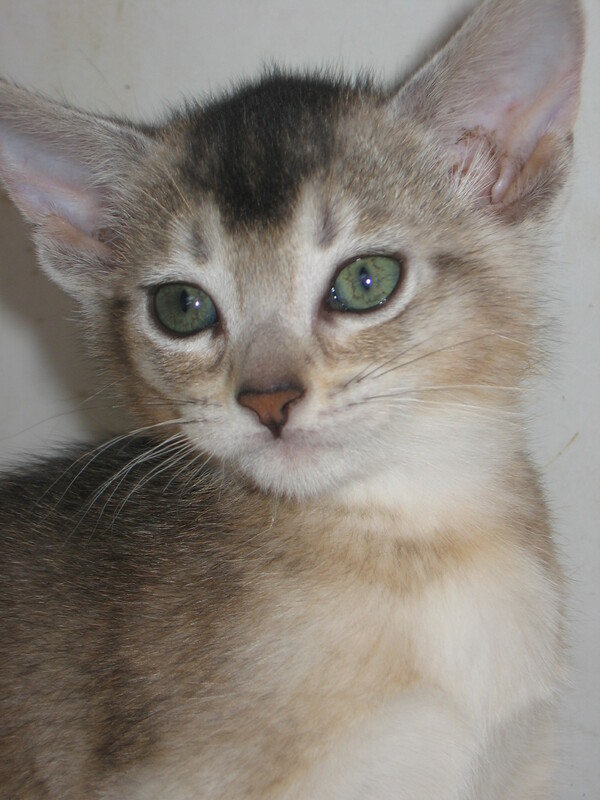 Essence Nassissie Eva – see red stripe going down her nose! 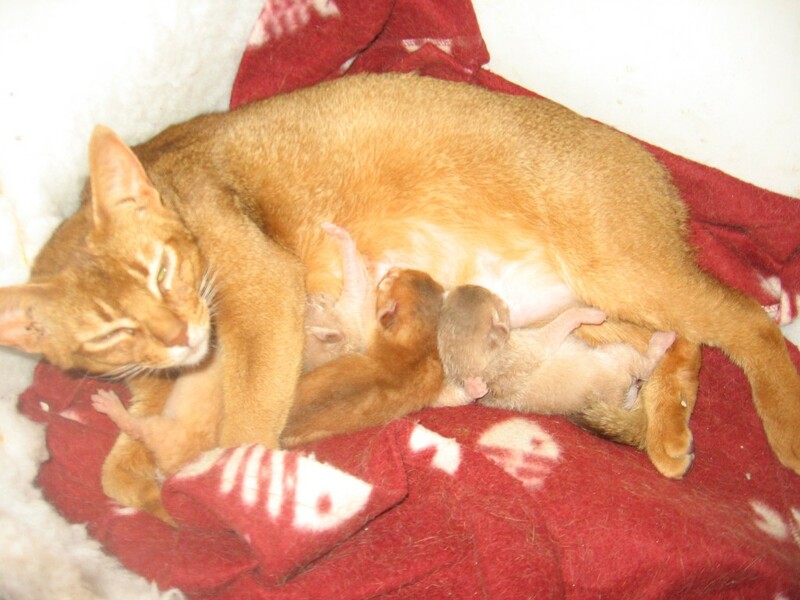 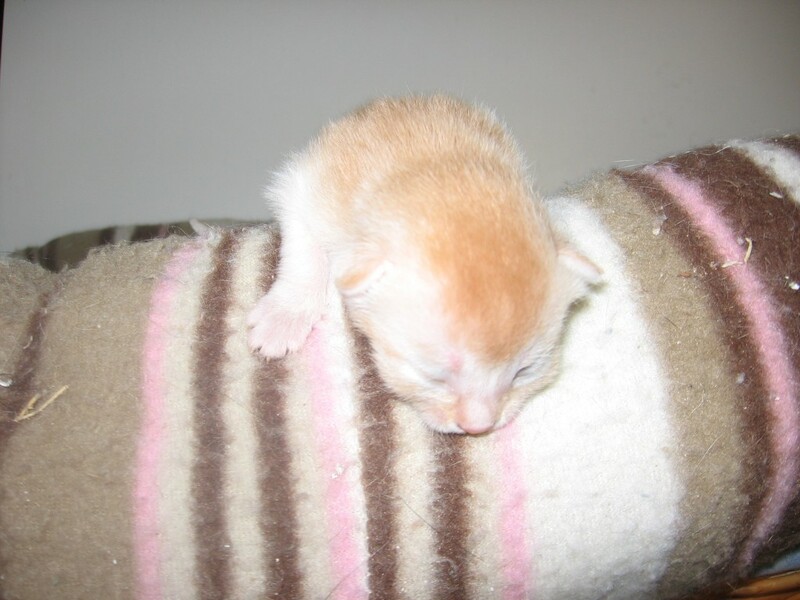 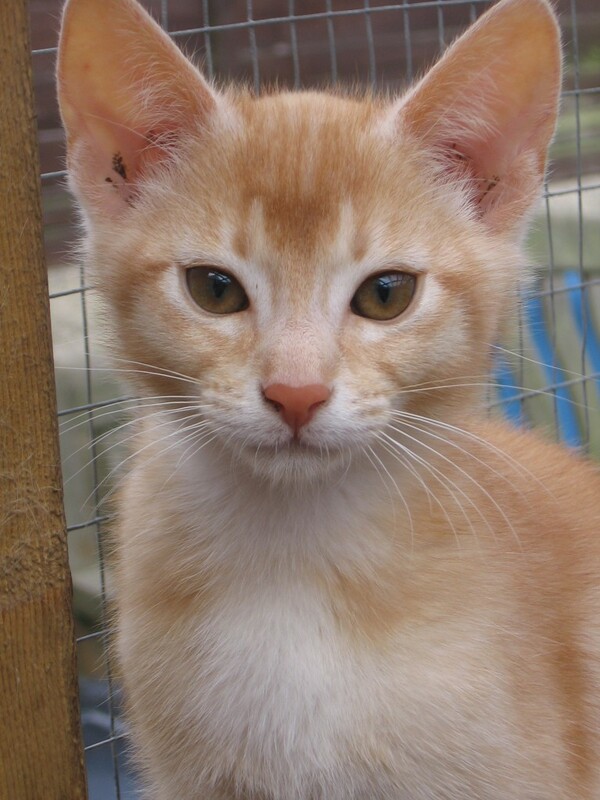 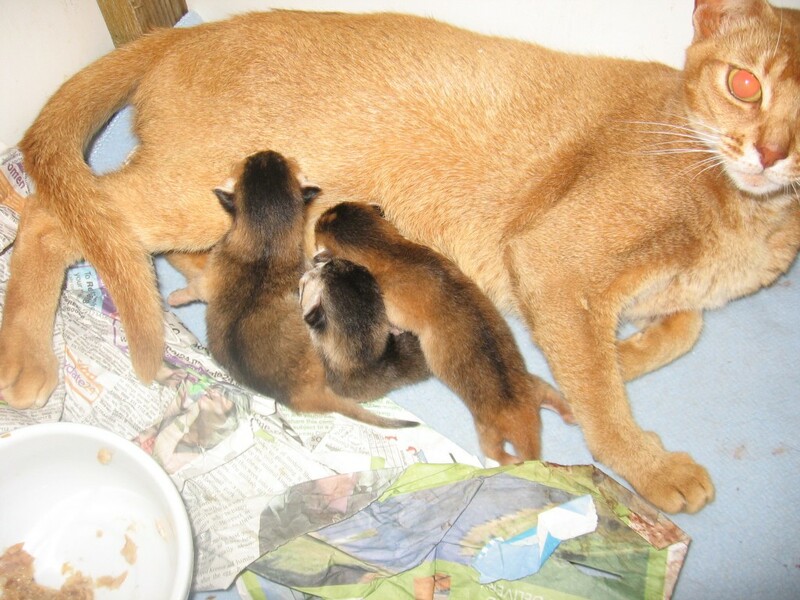 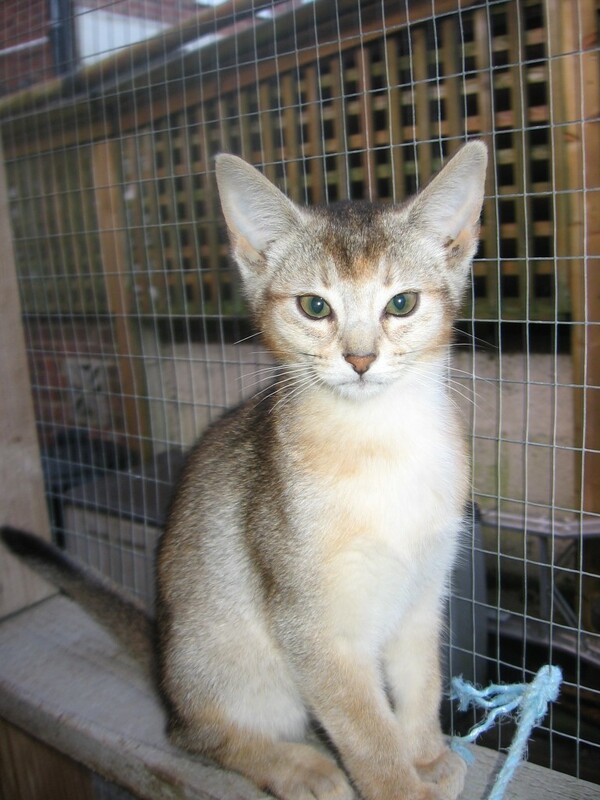 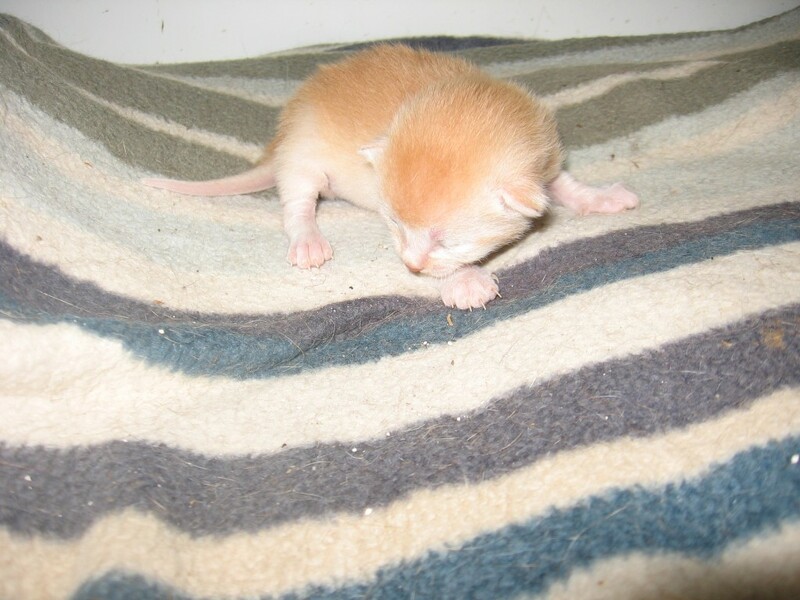 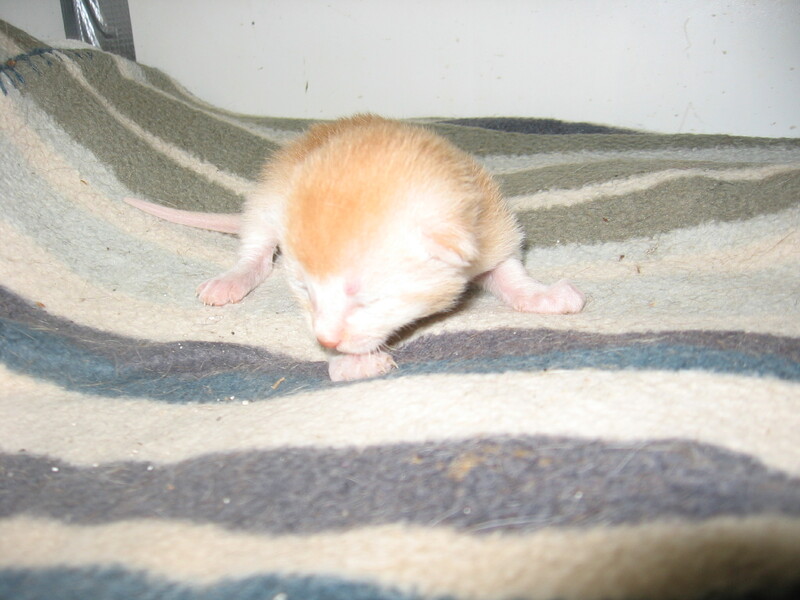 Star had 3 bonfire night kittens on 5 November (2 boys and a girl) from a mating with Flamstone Jaspurr. 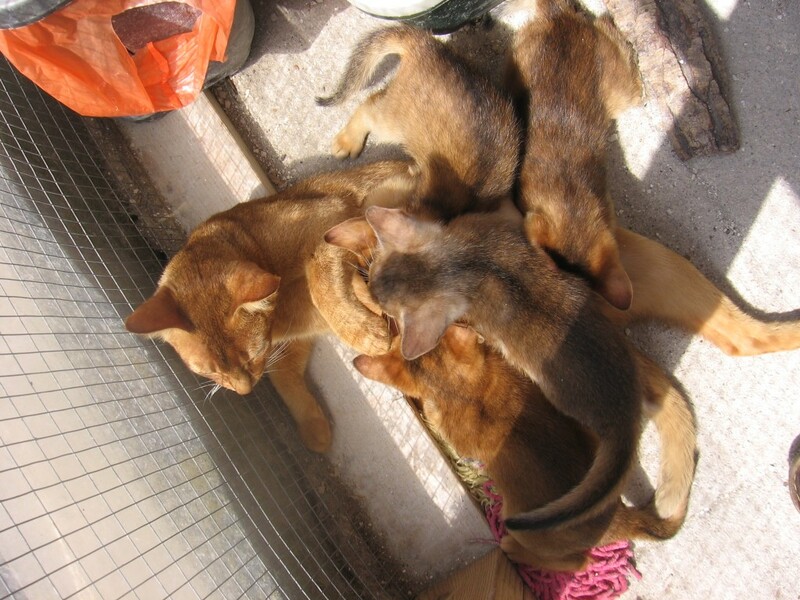 Shaybe had 4 kittens 3 days later – 2 girls (blue and usual tortie) and 2 boys (usual) from a mating with Flamstone Red Shah. 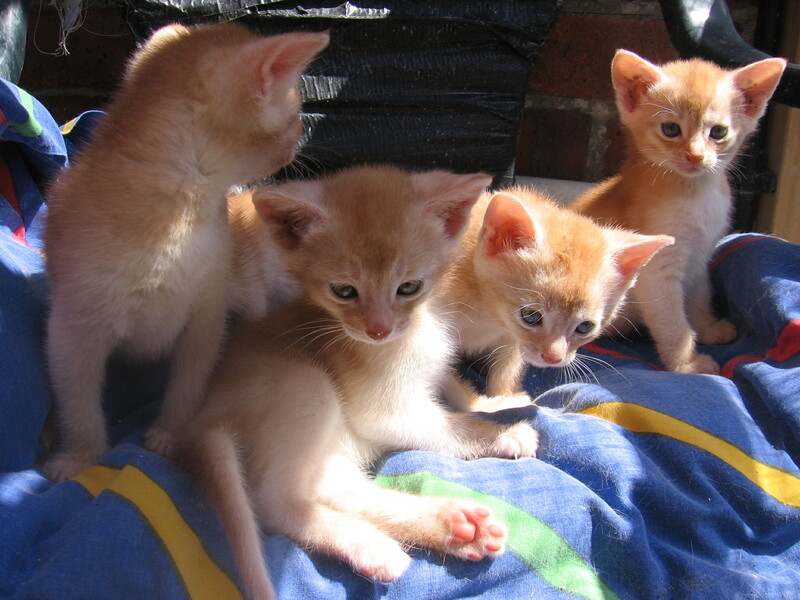 These have now all gone to their new homes. 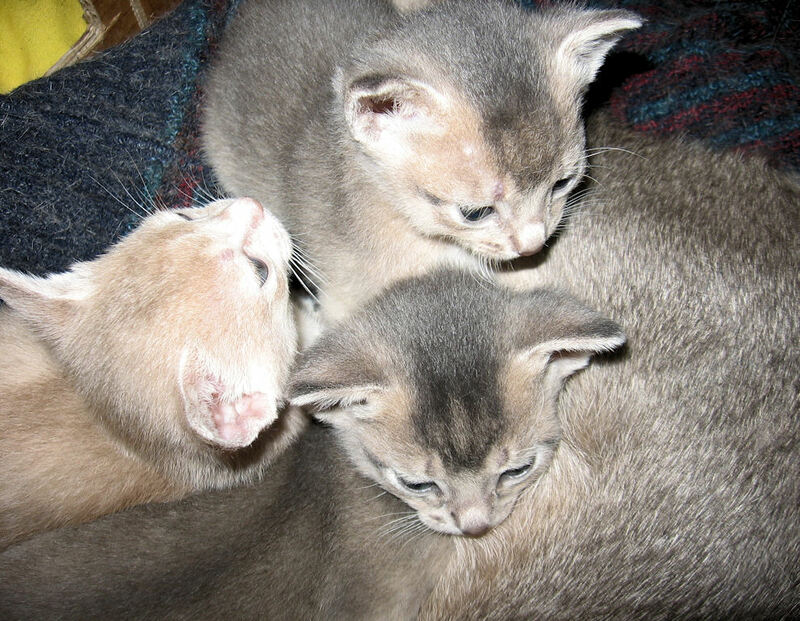 Two blue boys and a fawn silver girl were born end of May 2011 from Essence Derneku’s very first litter with Highlight Tobias (cream). The fawn girl sadly lost half her tail after a birth injury. 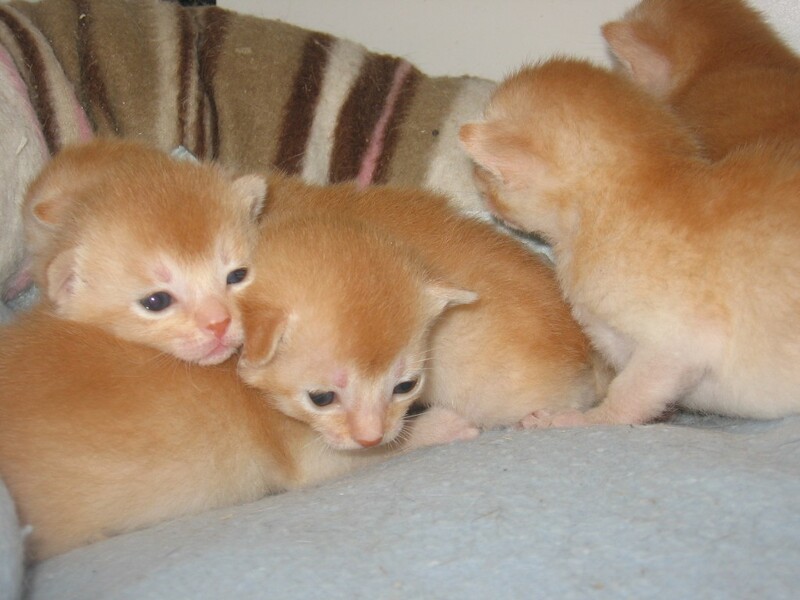 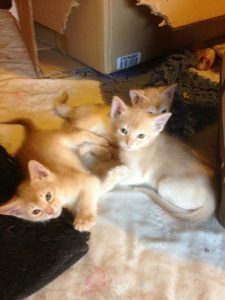 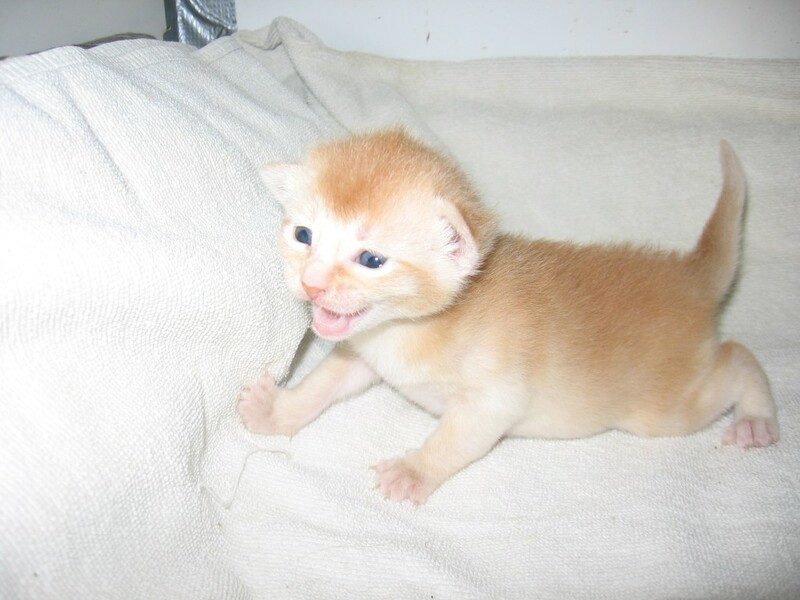 All kittens from this litter are now reserved. Below are images of the most recent litter from Highlight Habeba and Grand Champion Silversmoke Bill Davison (sorrel). 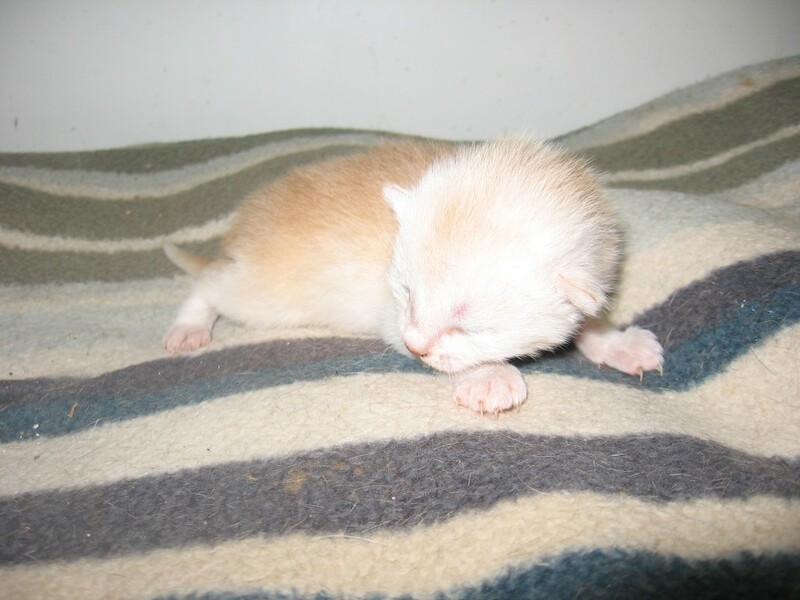 This litter was a single cream silver boy (reserved).